Put all your eggs into one basket for this exciting linky bloggers! The new year seems to be hurtling us ahead in time at a lightening speed. January came and went in the blink of an eye! And before we know it we are already in Feb and the annual frenzy surrounding Valentine’s day seems to be in the air. 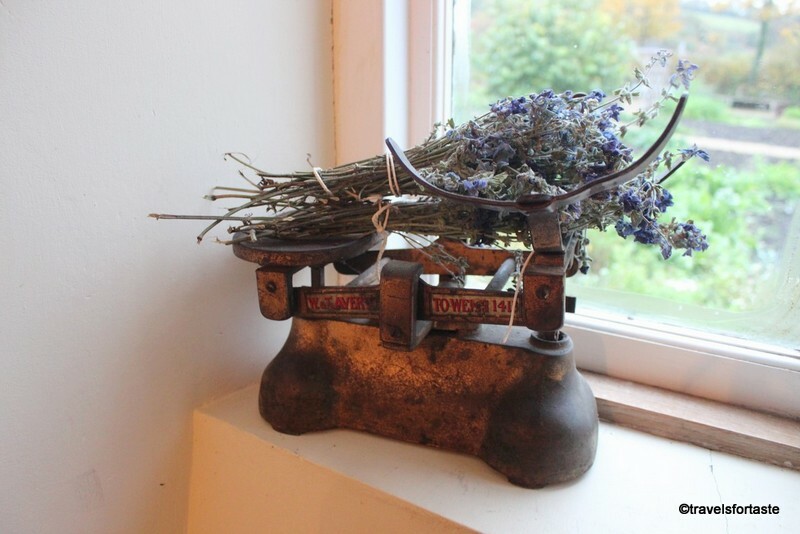 Every evening while I return from my evening stroll I happen to pass by a beautiful flower shop. The florist has gone a bit overboard this year with a massive heart-shaped display of red roses, red balloons and cute cuddly teddy bears! I think looking at that window display every day has subconsciously influenced me into purchasing a heart shaped baking tray – believe me, I have resisted for many years now but this year, I just succumbed to the temptation. So a heart shaped cake or two will soon feature on the blog! That got my co-hosts, Jo and Karen thinking about the theme for this month’s #TeaTimeTreats linky and we all unanimously agreed on EGGS! 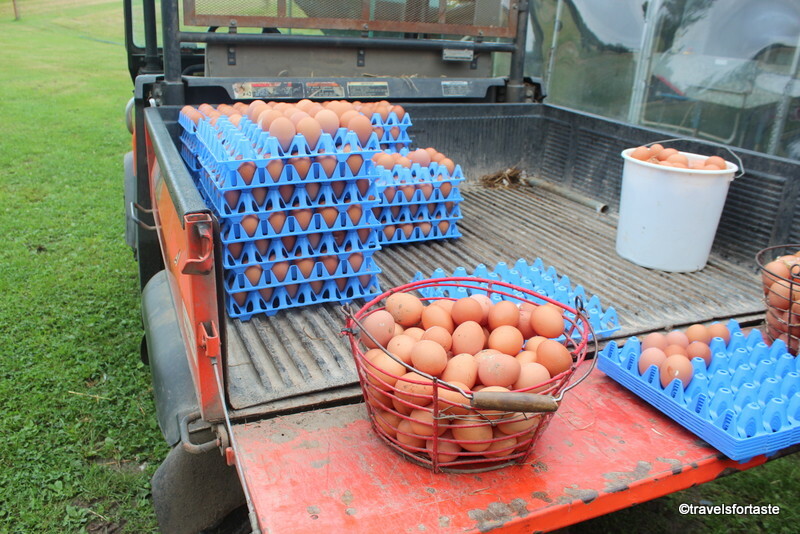 Just a few reasons we at the #TeaTimeTreats team love EGGS! 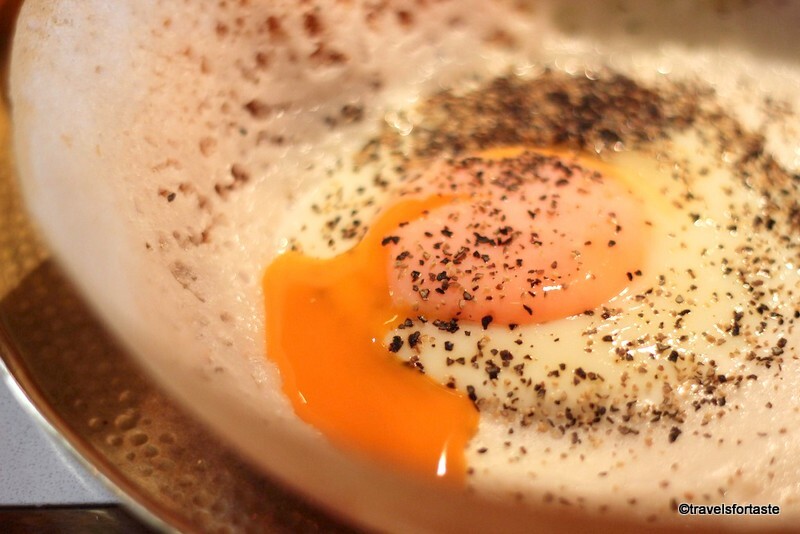 Eggs are so versatile to cook with and they are easy on the pocket. 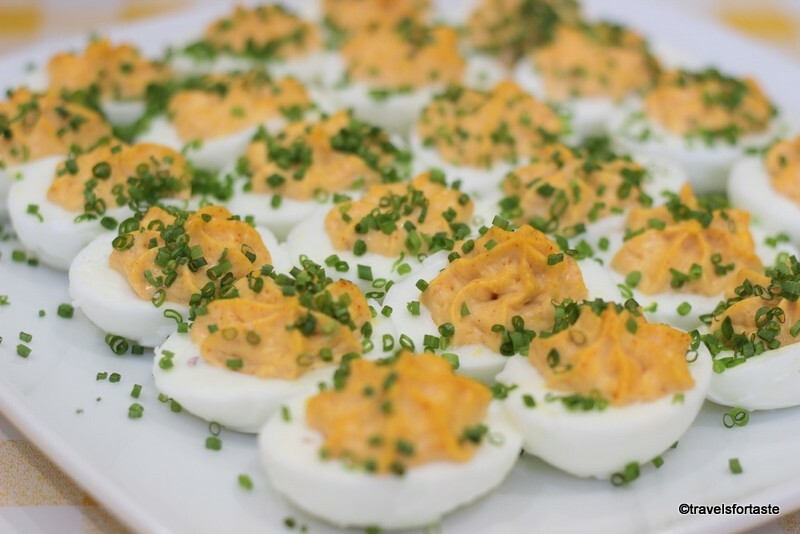 Eggs are DELICIOUS , great for kids and adults alike. ONE egg has 13 essential vitamins and minerals. ONE egg contains 6 gms of protein – wow! Eggs are great for those looking to loose weight as they can easily be incorporated into a healthy meal plan to support a regular exercise regime. So please do join in and link up with us for this month’s #TeaTimeTreats linky, can’t wait to see your cakes, pancakes, bakes, muffins, rolls, wraps,stuffed delights, crispy delights, fried temptations, based goodies, sweet treats, savoury treats and other creative recipes with egg as one of the ingredients- bring it on! 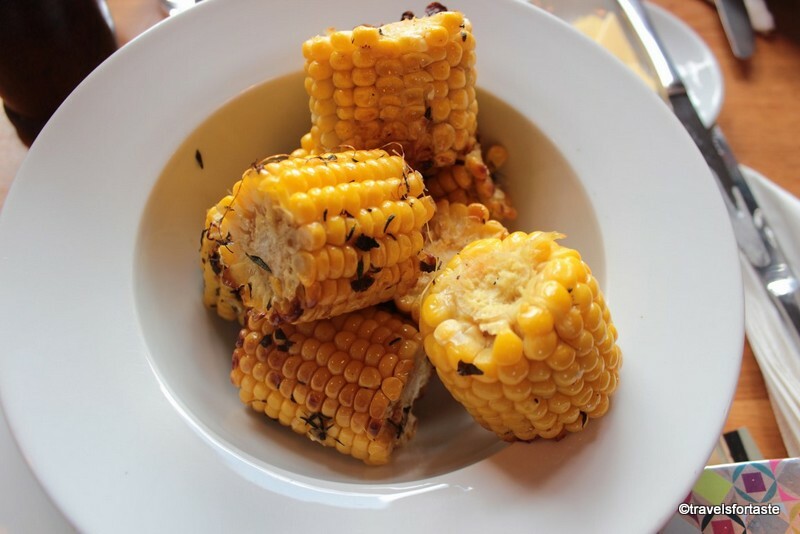 Meanwhile, if you are looking for some recipe inspiration for leftover ingredients from Christmas that are still lurking around in your freezers, then have a look at these 7 creative ideas to have some fun cooking for tea. 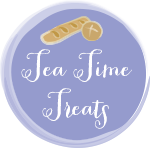 7 tea time treat recipe ideas – January 2017 #TeaTimeTreats recipe round-up by Jo of Jo’s Kitchen Blog. 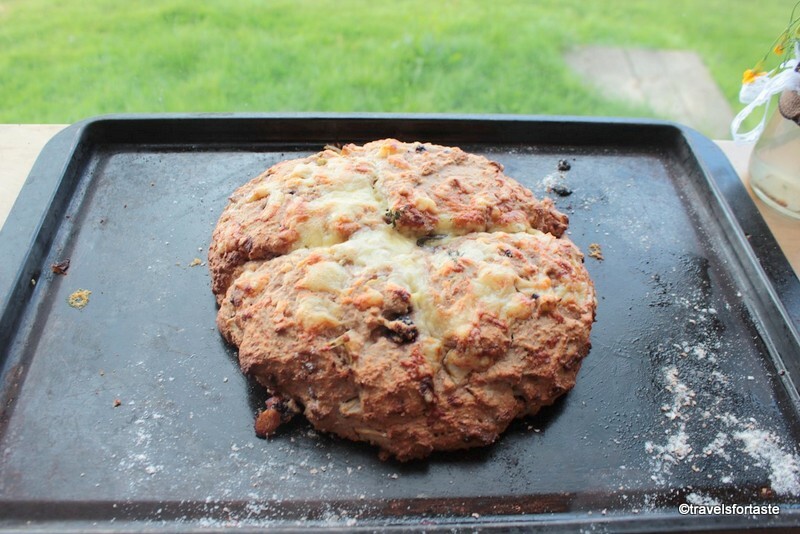 Post your recipe on your blog with a link to Lavender and Lovage, Travels for Taste and Jo’s Kitchen and mention the relevant month’s host and attach the Tea Time Treats logo as shown on the event page. 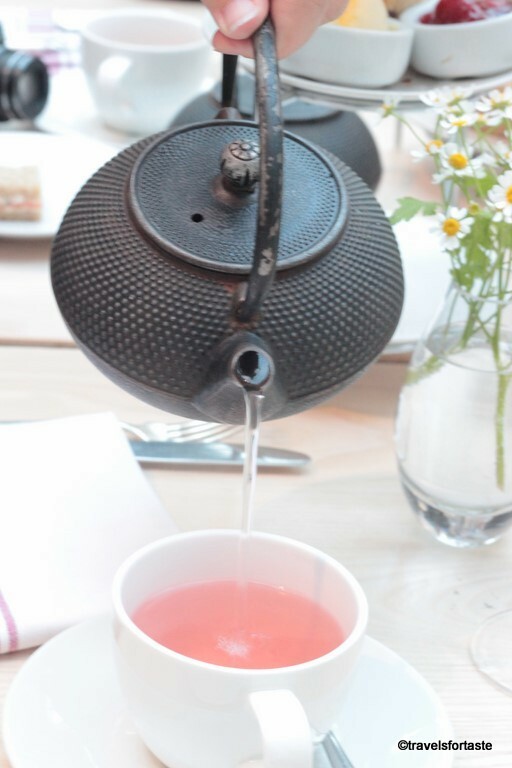 Add Tea Time Treats in your blog post as a label/tag. 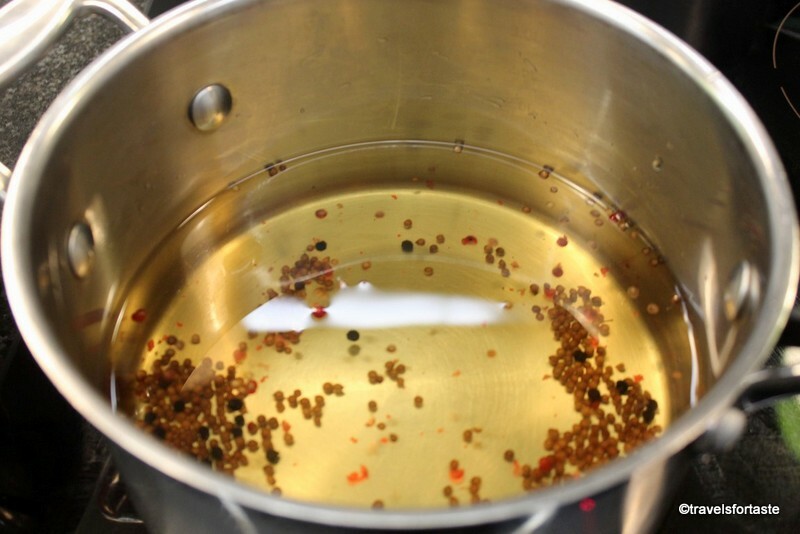 The recipe can be one of your own or one you’ve seen elsewhere. 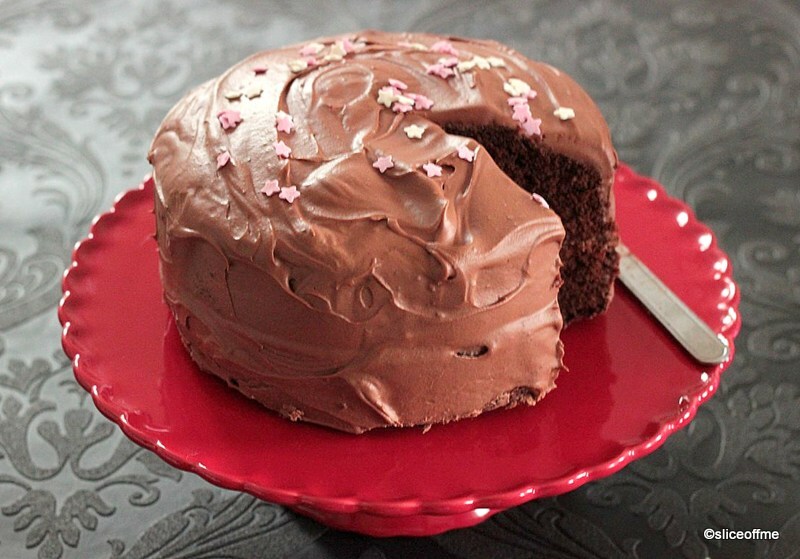 You are welcome to republish old recipes/posts but please add the information about this challenge. 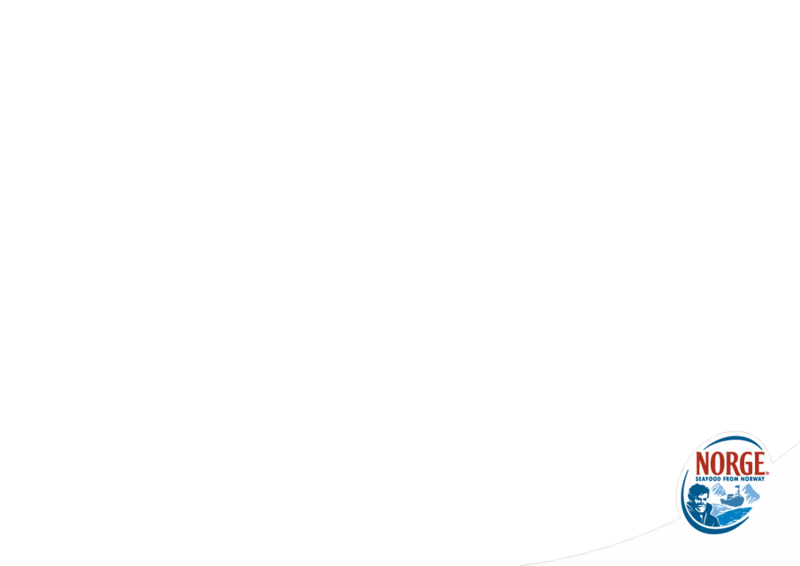 Please be as creative with the theme as you like. 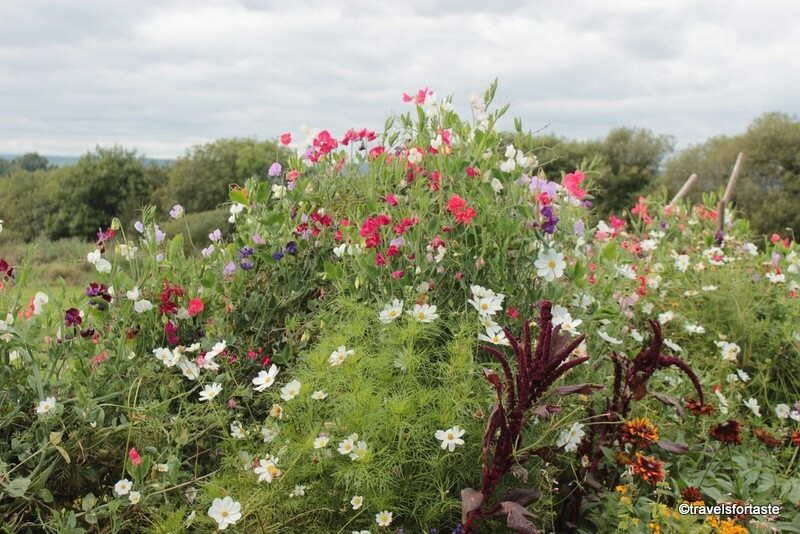 If you put your post on twitter please mention @KarenBurnsBooth, @travelsfortaste, @Jos_Kitchen and #teatimetreats in your message and we will re-tweet all those we see. 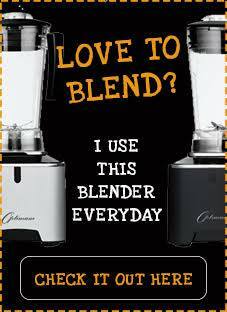 You do not need to enter every month to join in with the challenge. Your post can be submitted for other blogging challenges, just make sure this complies with the rules of the other challenge. 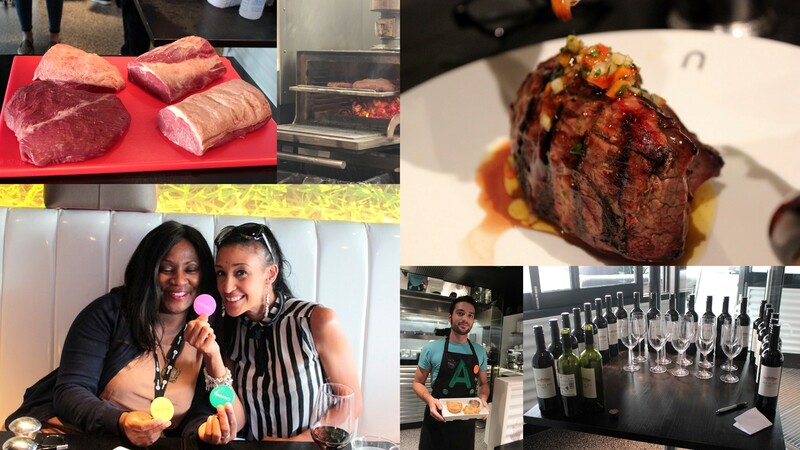 VIP: Add your recipe link to the live linky posted at the bottom of every challenge post. If using a recipe from another person, book, website, chef or blog, you must link back to the original recipe and not reproduce the recipe in full in your post. 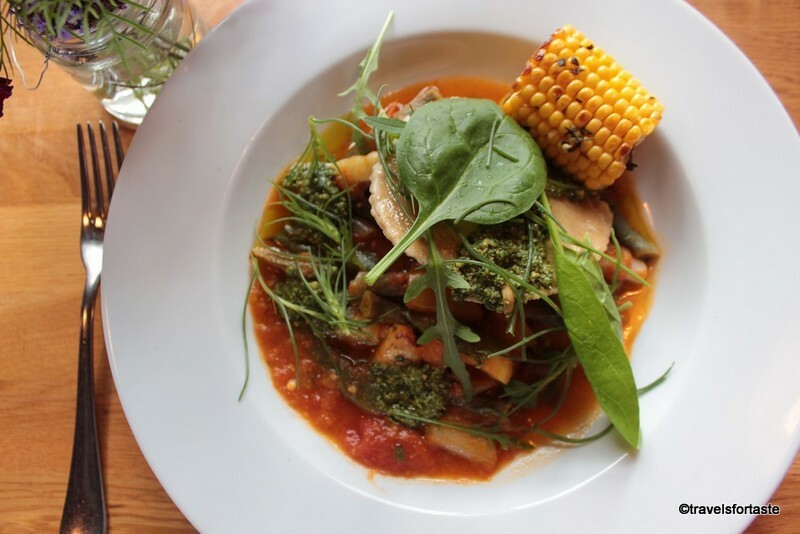 You must also use your OWN images for the recipe and not the original images, unless you have permission to do so, with appropriate links and any other information requested by the photo’s owner added to the image. Please add you Afternoon Tea and Tea Time Treats recipe links below! THANK YOU and have a dreamy, happy and lovely February 2017, may every tea time be filled with inspirational recipes and eggy treats! 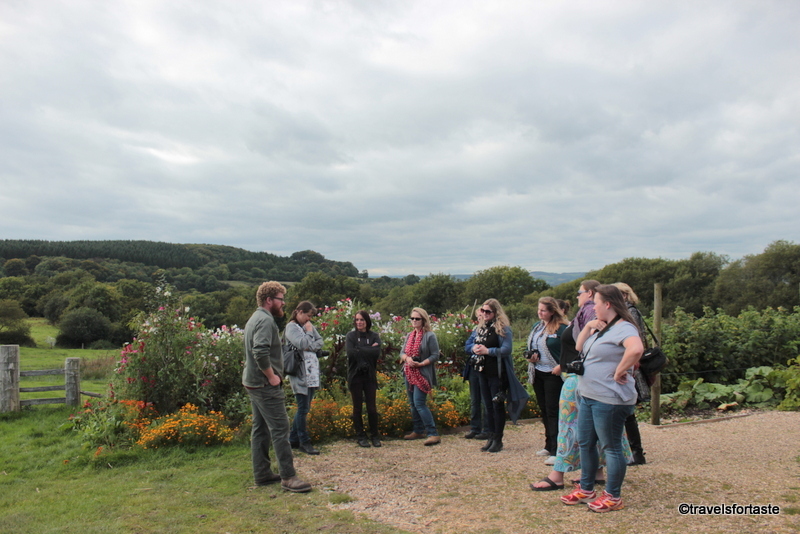 River Cottage is an experience and after the power packed day, I spent there last year with Foodies 100, I couldn’t turn down an invitation to go back this year. Thankfully, my friends and I managed to find rooms at the same gorgeous B&B which we stayed at last year, Millwater House run by Tim and Ruth. This year in addition to maintaining very clean rooms, a stunning reception and dining area and a massive back garden complete with a green-house they also built a make shift disco in a barn and kept the signage as a memory and a huge rack to grade and store the excess supply of apples from the many fruit laden trees that dot the driveway. Last year thanks to Heidi’s husband the very kind Mr. R, we ( Tina, Nayna and I ) managed to go see the beach at Lyme Regis and explore the beautiful town and even have a fabulous dinner at one of the best sea-food places in town. This year though we spent our extra day off, window shopping and shopping for props. 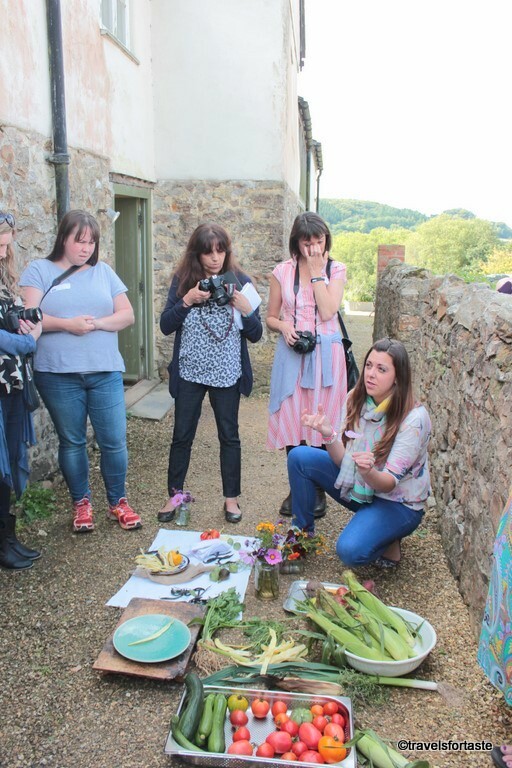 Unlike last year, when we had brilliant sunny weather and had a farm tour, kitchen garden tour, a fabulous baking session in the superb teaching kitchen and not to mention some cracking blogger training sessions, this year gave us an opportunity to really connect with other bloggers. We had a brainstorming session where everyone shared their tips for increasing social media following to scheduling blog posts and collaborating. 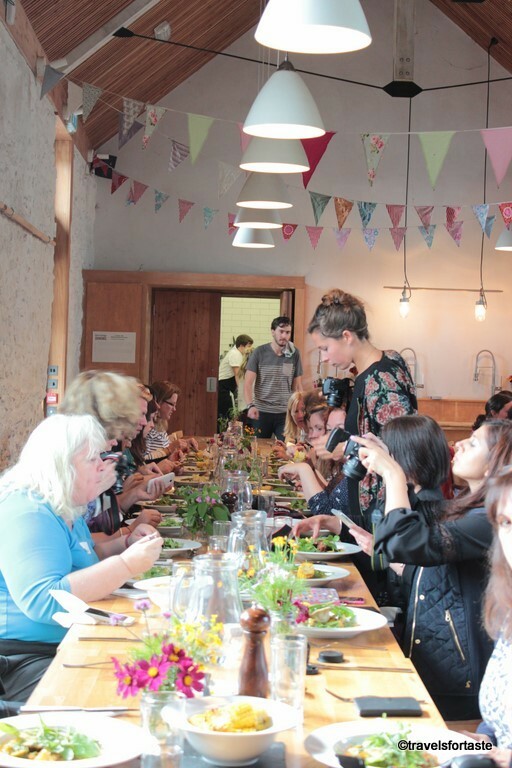 The main hall at River cottage was decorated with pretty flowers and pumpkins of all shapes and varieties adorned tables. It could have been a setting for a dreamy country wedding. 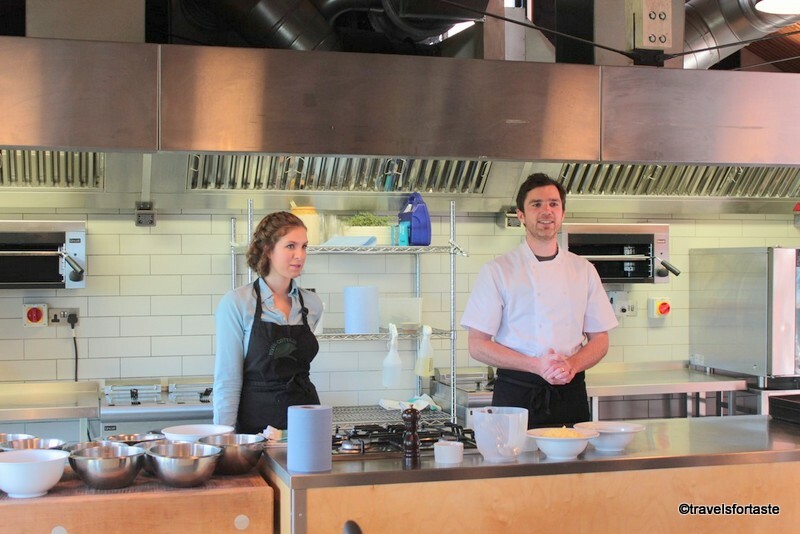 We were given an insight into brining of meat and vegetables and I managed to learn a few great tricks. 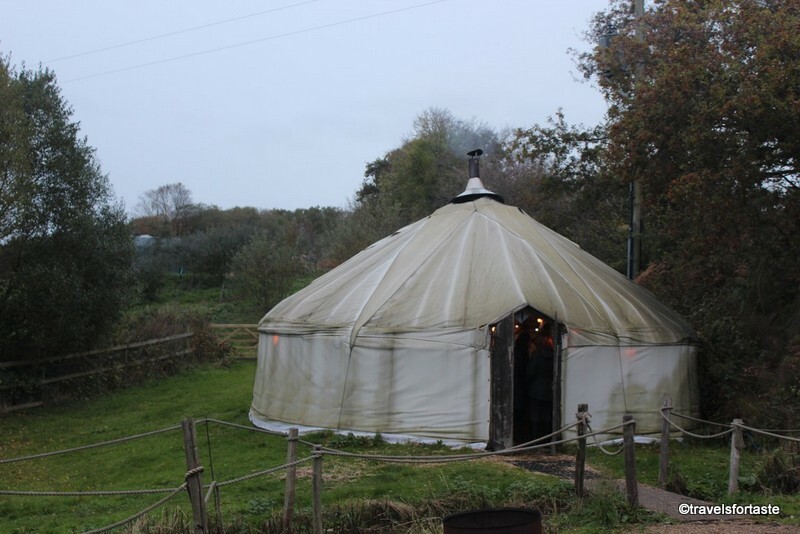 Though I did enjoy spending some time in the huge yurt and loved how toasty and warm it is inside http://onhealthy.net/product-category/muscle-relaxant/ with the fireplace, but of course, the best part was the fantastic festive dinner. 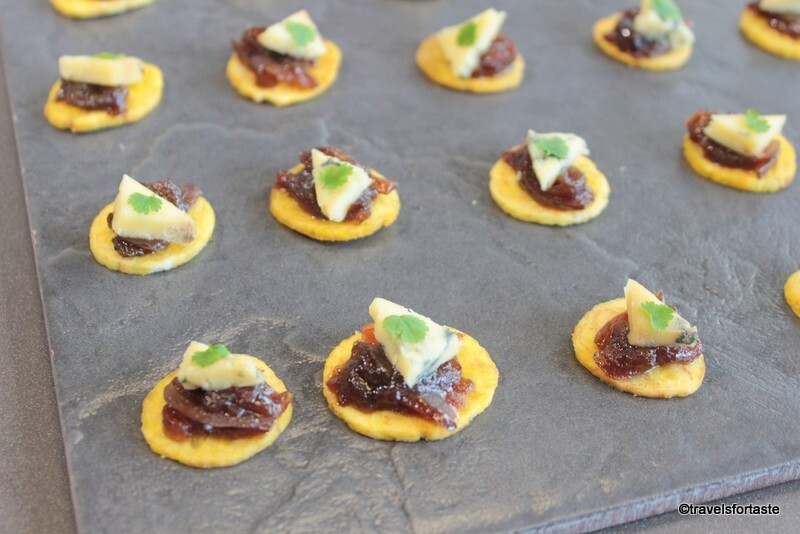 We started off by enjoying eating some of the fantastic sharing platters with pork and leek croquettes with a tamarind and green tomato chutney, goats cheese, beetroot, honey and fennel on impossibly thin crisp bread, mussels served with a scattering of finely chopped red onion and a few other gorgeous dishes. 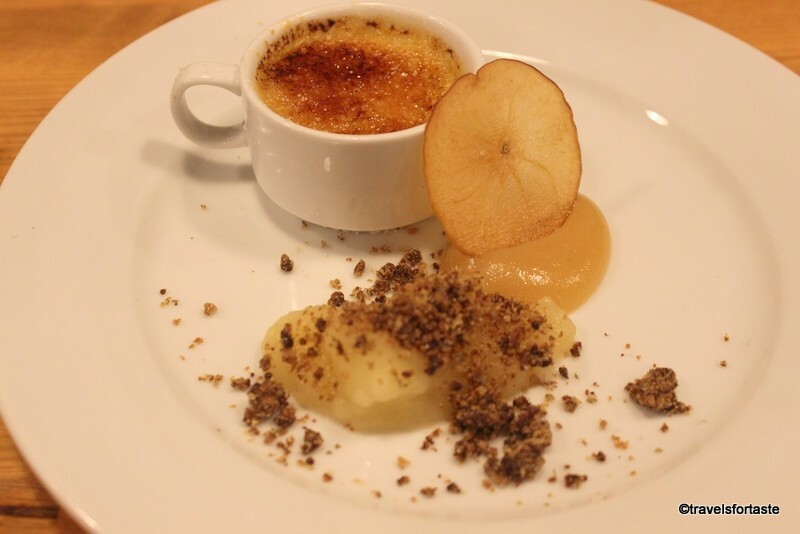 The dessert was a perfectly formed honeycomb Crème brûlée with served with apple puree that had a really sharp kick and the most divine wafer thin apple crisps. I am so glad I wore layers and purchased a fab new pair of warm gloves before we made our way to the farm. It was a very cold evening and a crazy tractor ride to and fro to the farm was just one of the things that made the evening really fun. 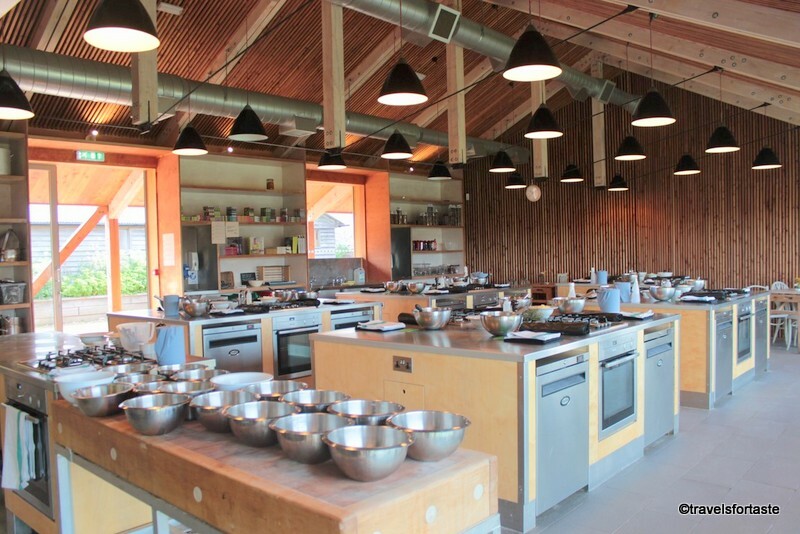 Am not entirely though whether I feel brave enough to cure or brine meat on my own though but am certainly hoping I can go back to River Cottage sometime soon to pick up some more kitchen skills. 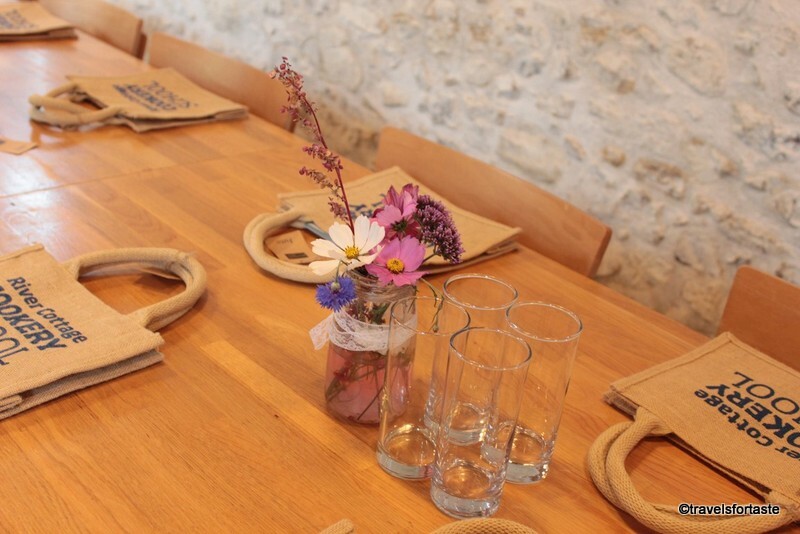 *With thanks to Foodies100 for organising such a Christmas Lunch and the talented team at River Cottage for an unforgettable experience. As always all opinions expressed are as always my own. No incentive was provided for a positive review. 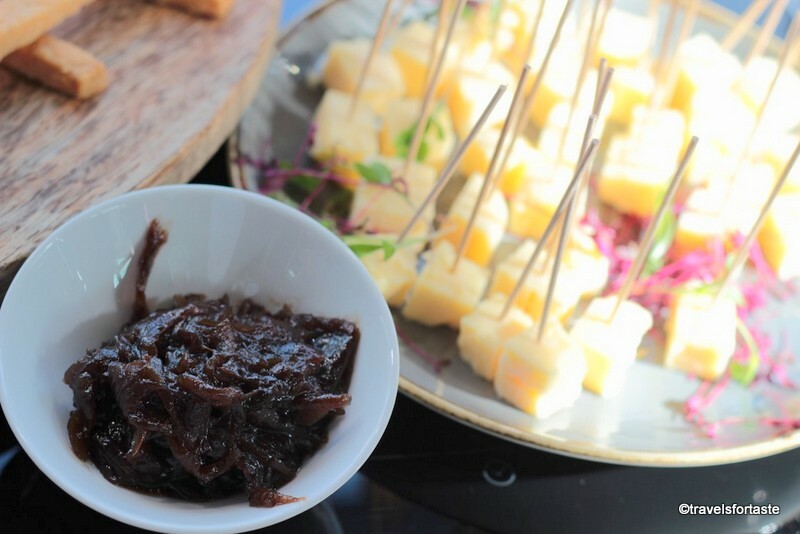 When life gives you lemons, make a jar of – yes you guessed right – Lemon Pickle! 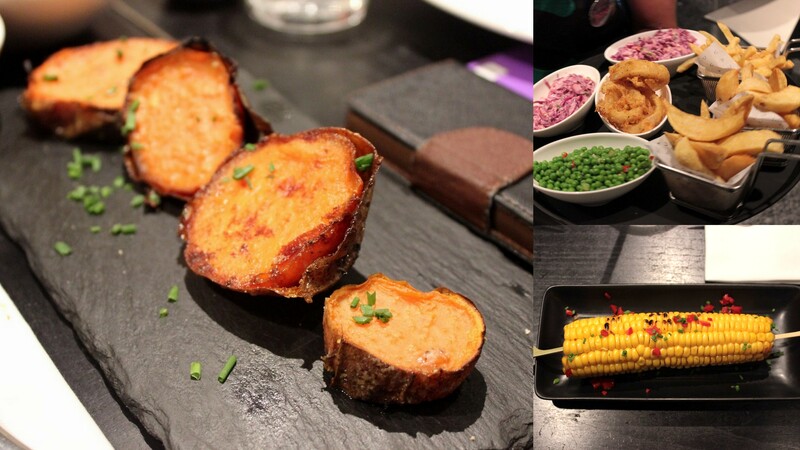 No proper Indian meal is complete without a bit of pickle on the side. 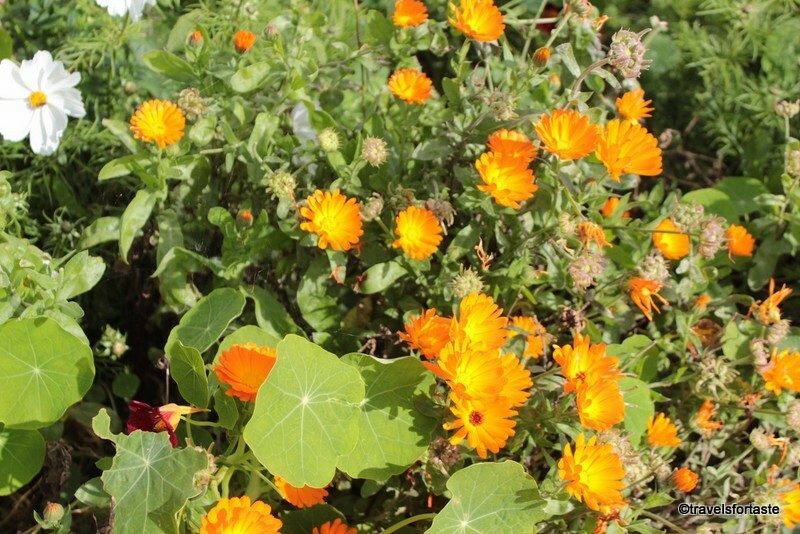 Growing up my mum pickled every possible vegetable and fruit that she would get her hands on , whatever was seasonal and also many times what took her fancy. 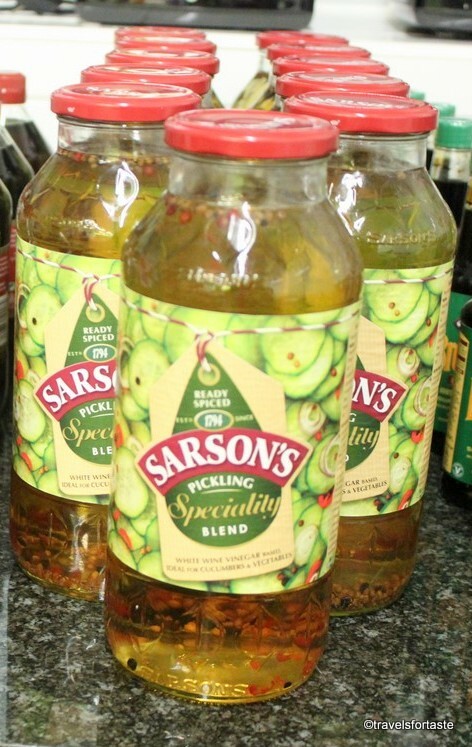 That is why I was curious to experience how pickles are made using Sarsons vinegar, which now I know is a a very different and easy way to create great tasting pickles. 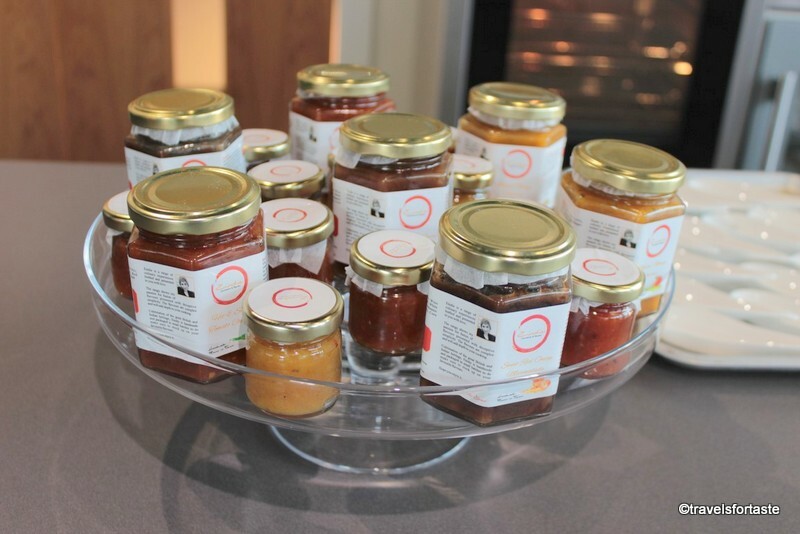 I cannot resist a good mango or lemon pickle – both of which are firm favourites in our family. 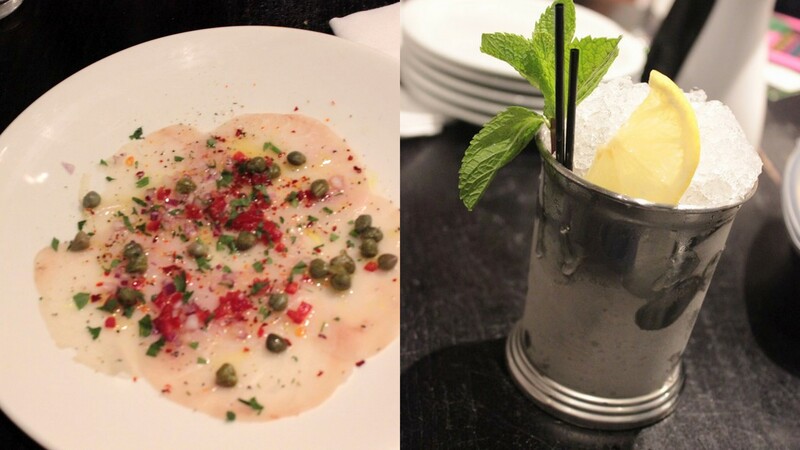 But pickled chillies, garlic and even fish come a close second and third. As a preservation technique pickling is almost 4000 years old and am proud to say it started in India with cucumbers. U.K’s leading vinegar brand has launched a new speciality blend this year and I spent a happy evening pickling bright coloured peppers . The condiments which lend any pickle their distinctive flavour are already a part of these unique Sarson Vinegar and are a must try for anyone who is remotely interested in making pickles. 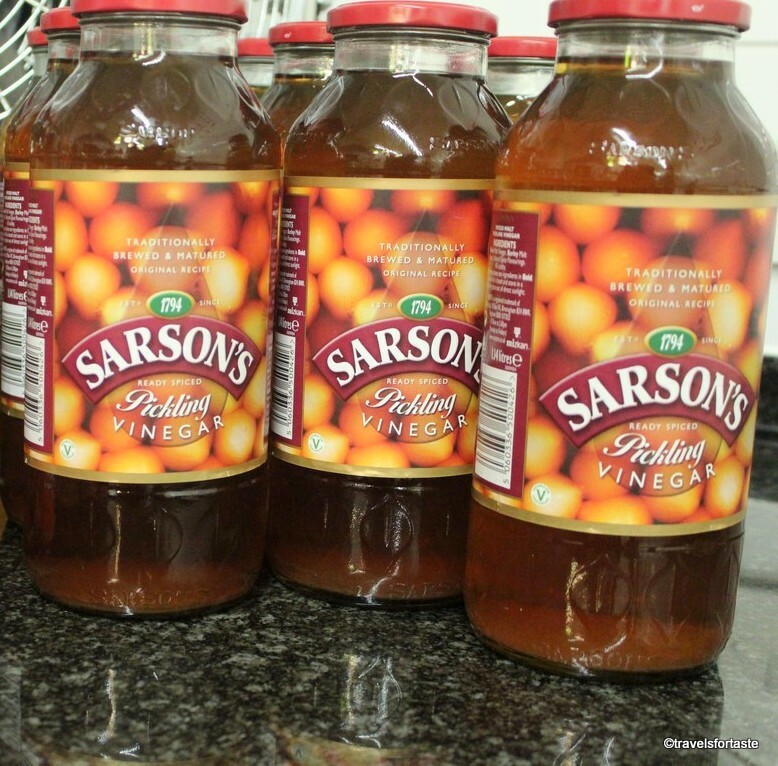 Not only do Sarsons speciality vinegars have the added benefit of coriander seeds, black peppercorns and pink peppercorns, they also help extend the life of your pickles. 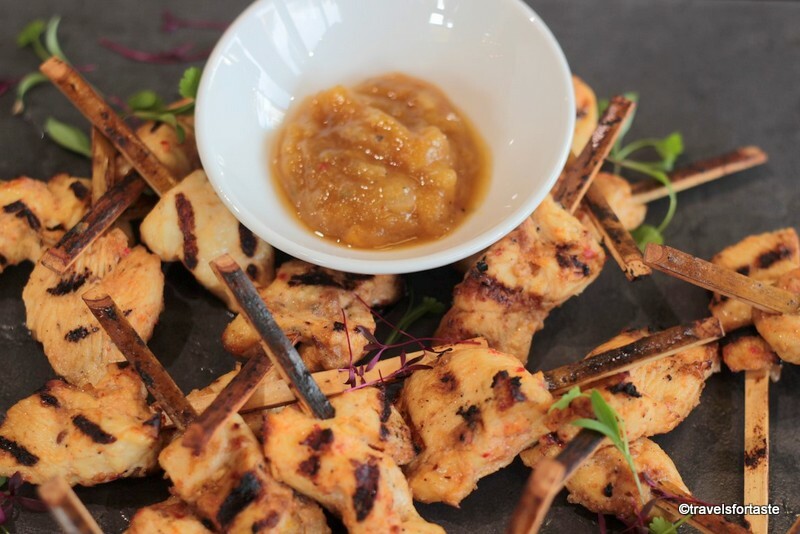 For recipe inspiration, hints and tips have a browse through the Sarsons website here. 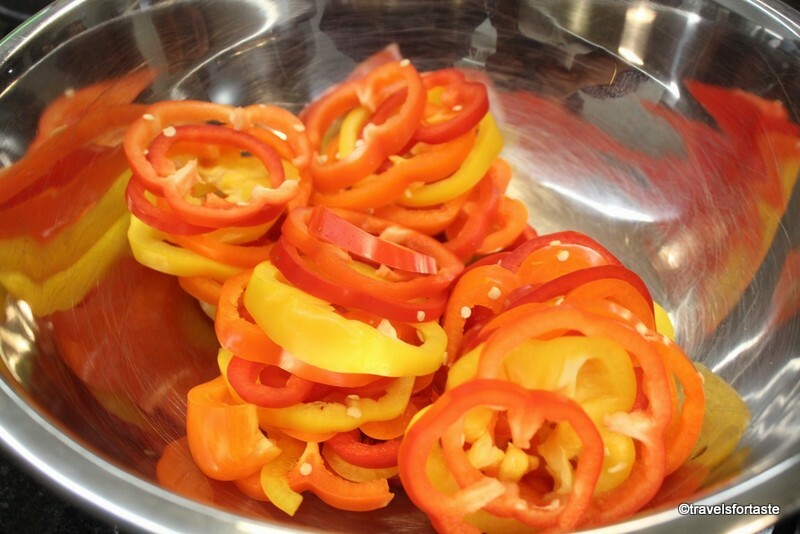 The beauty of this process of pickling is that all you need to do is chop what vegetable you would like to pickle and add in the beautiful speciality blend. 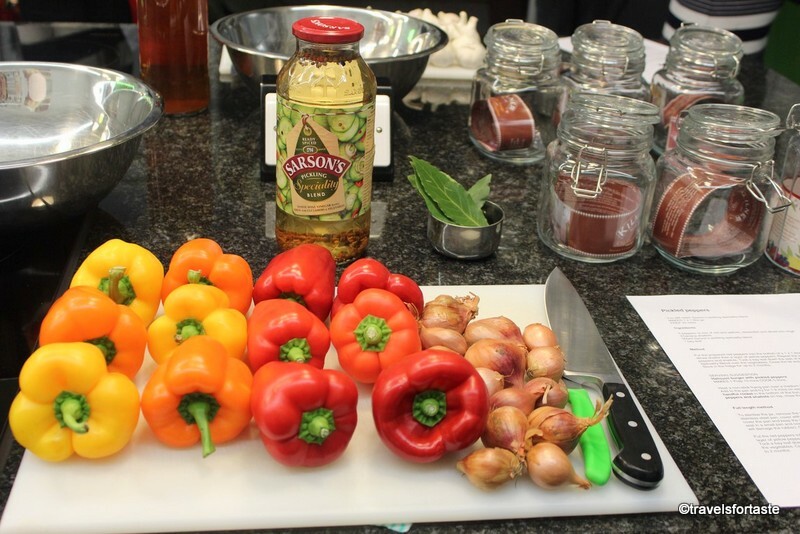 Ensuring that the Kilner jars used are sterilised properly to prevent any illness and also ensuring that only the most fresh produce is used at all times. 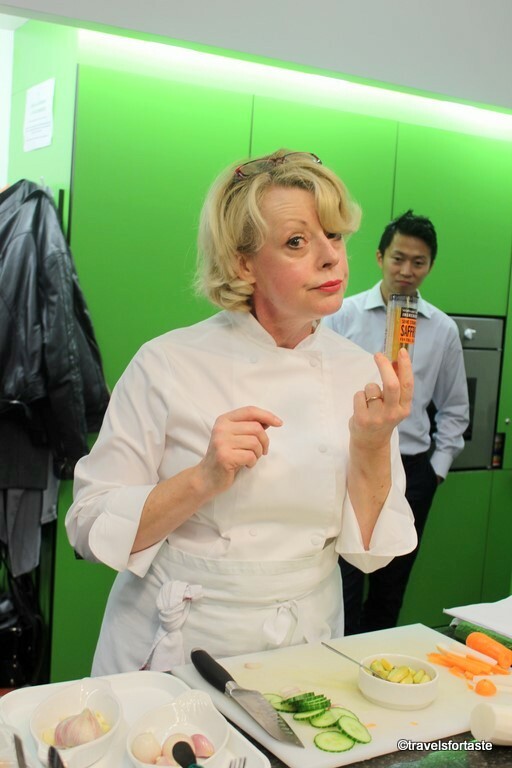 At the event, Denise Tollyfield was at hand to provide her top tips and guide us through the process of making pickles. My friends Nayna and Heidi bottled cucumber while Vaishali and me worked on the peppers. Must say we were quite the team. Denise recommends boiling the lids of the Kilner Jars separately as they have a rubber ring to ensure the jar shuts tight and prevents leakage – this shouldn’t be oven dried whereas the jars should be sterilised in a pre-heated oven for at least ten minutes. 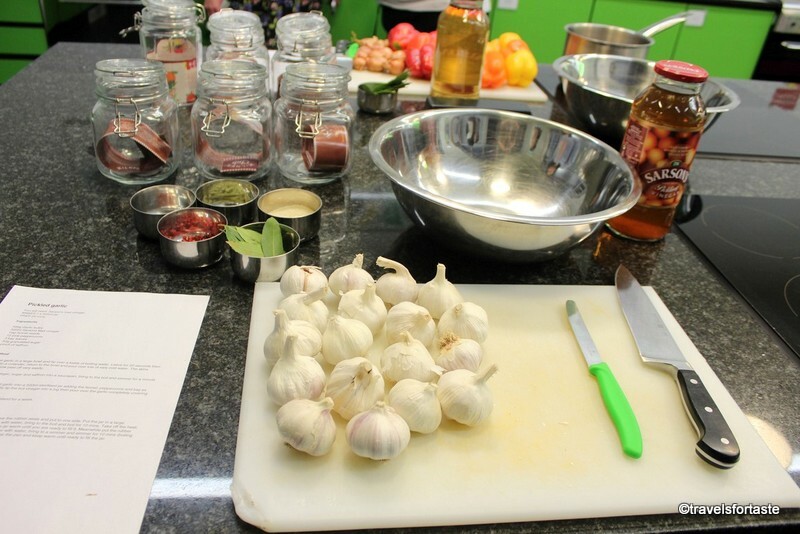 The most important tip she shared is that when pouring the prepared pickle into the sterilised jar – both the glass jar and the pickled mixture should be equally hot. 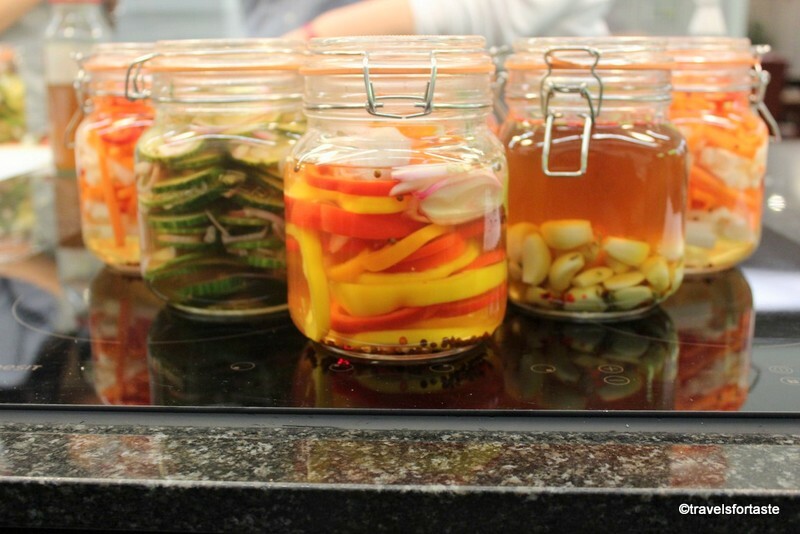 Before sealing the filled jars its best to add enough vingear to cover all the vegetables in the pickle. No better way to spend a chilly winter evening that with friends like Nayna and Heidi doing something we love , working with food and even better when it turns into a chance meeting with another passionate foodie like Vaishali. 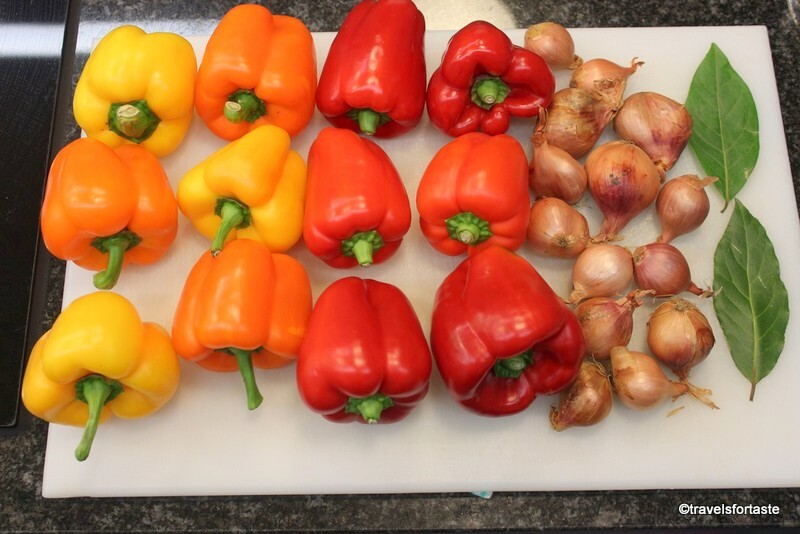 There is a definite joy in working with the best possible ingredients especially fresh produce as it guarantees great results each time. I cannot wait to create more fun pickles and add mini jars to share with my friends and family in their Diwali and Christmas gift Hampers. Disclaimer: With thanks to Sarsons for the invite. As always, all opinions expressed are my own. I was not required to write a positive review and was not compensated monetarily for this post. 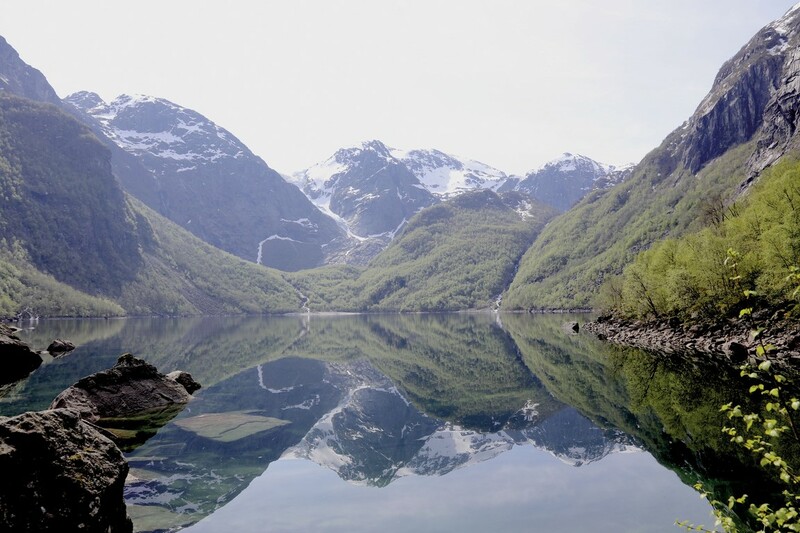 Norway – home to clear, pure, ice cold, sparkling waters surrounded by majestic mountains with waterfalls and glaciers – also home to the Norwegian fjord trout fish. The only saltwater trout in the world that has the benefit of a unique environment, a mix of seawater and pure glacial water melting into the fjord. Norway has a great environment for aquaculture and fish-farming, thanks to their long and vast coastline, deep fjords and of course clear and pure water. 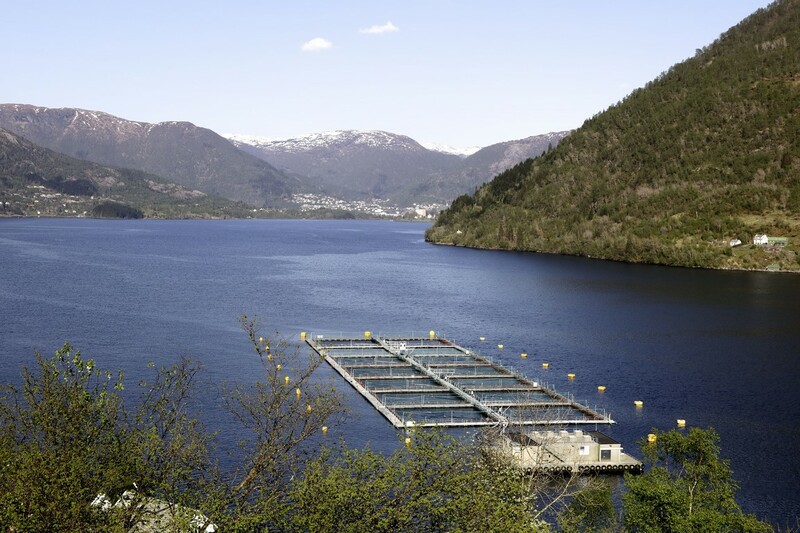 Responsibly farmed, the fjord trout are fed a nutritious diet to help them develop slowly. 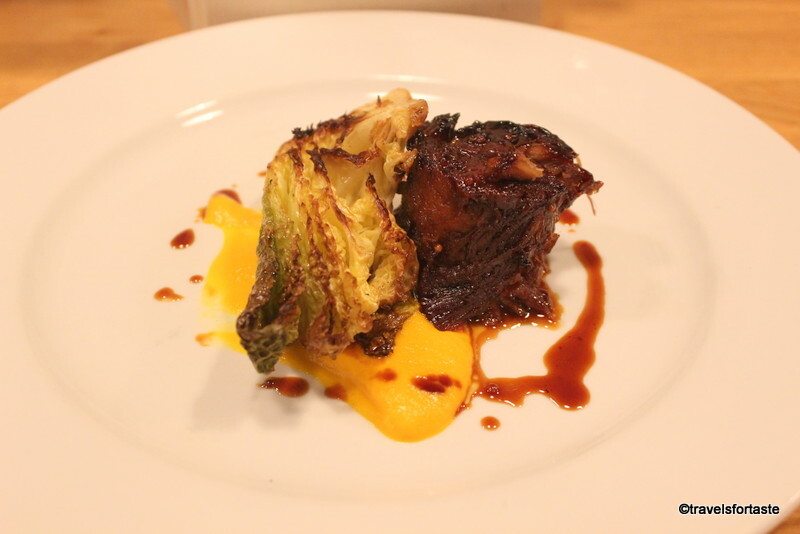 The vibrant orange coloured flesh has a firm texture and delicate flavour. Perfect for raw dishes like sushi and sashimi. 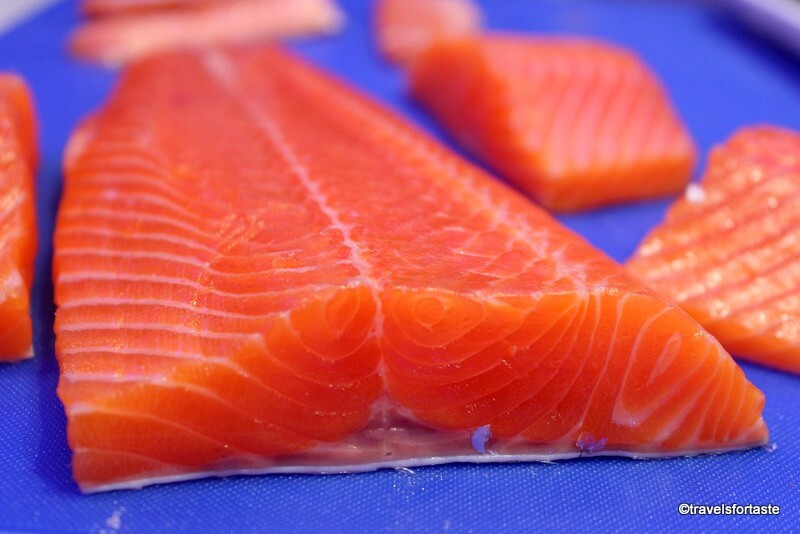 Since all of the fat is stored in the belly this oily fish is very lean the perfect choice for the health conscious. 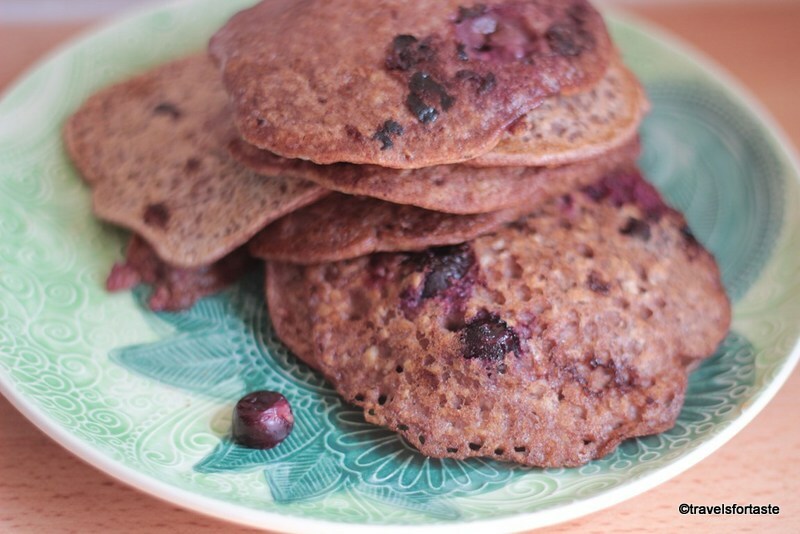 Naturally high in omega 3 and essential vitamins, it is a great source of healthy protein. At an event in London, unveiling this beautiful fish to the U.K audience Brand Ambassador Chef Daniel Galmiche. 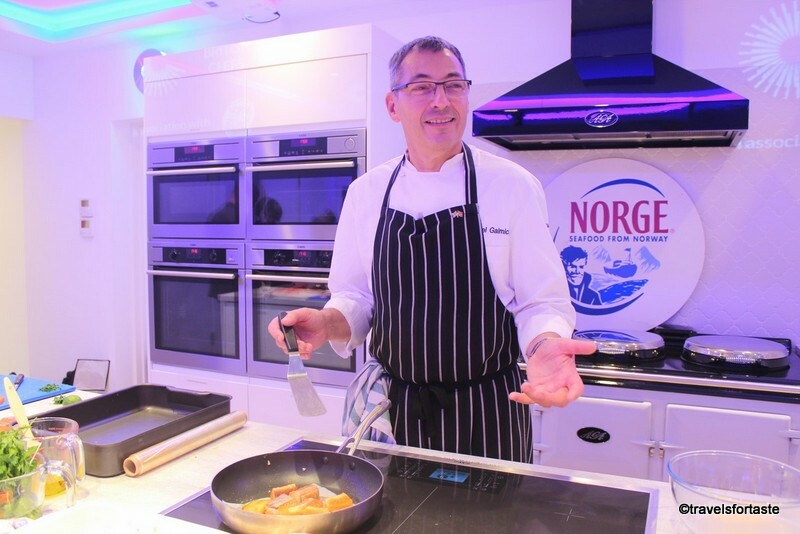 explained exactly why it is that he is so passionate about the fresh taste of fjord trout. 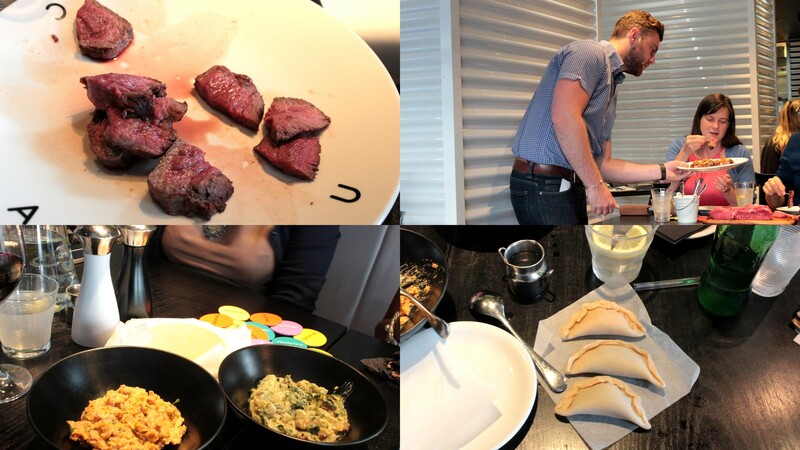 He demonstrated simple recipes which allow for the fresh taste of the fjord taste to shine through. 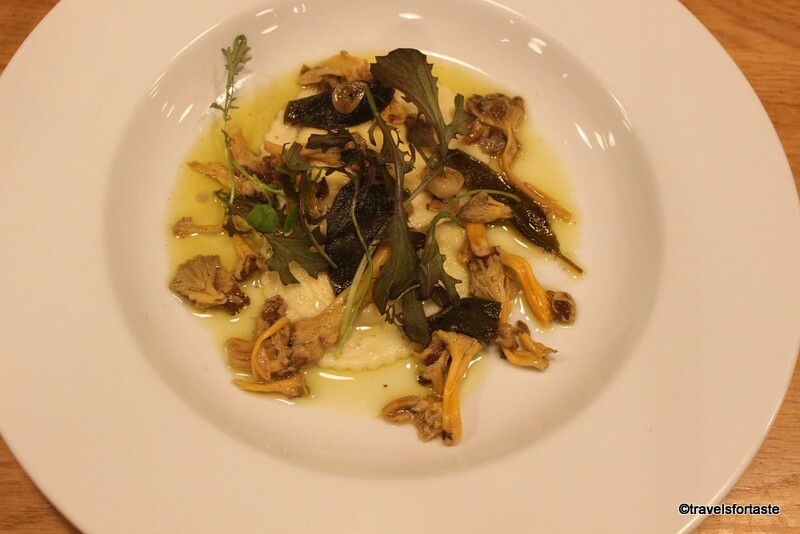 He also shared some expert tips on how best to pan fry this fish and add in ingredients that enhance the inherent http://tramadolfeedback.com great taste of this oily fish. 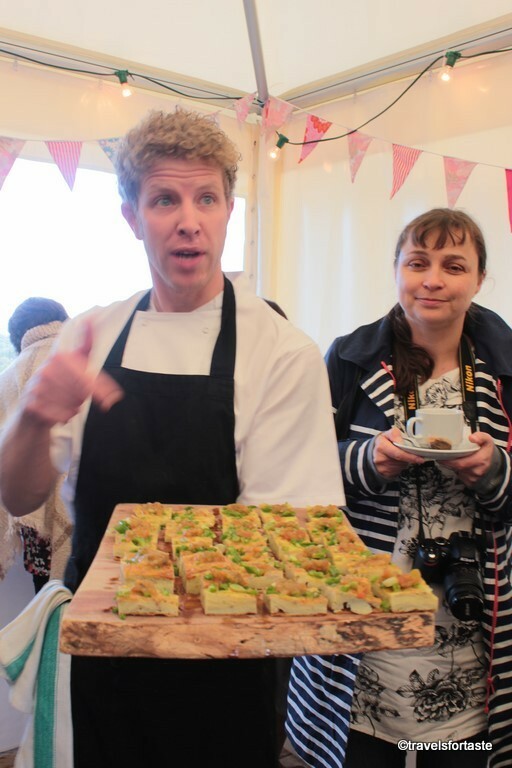 I sampled some delicious recipe combinations while Chef Galmiche explained the fjord trout is farmed sustainably thanks to centuries of learning and adherence to the world best aquaculture practices. 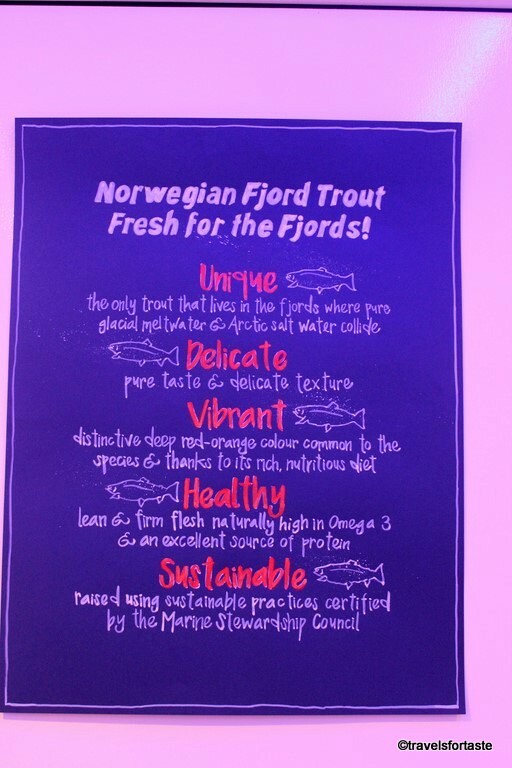 To sample the very best of seasfood from Norway, one doesn’t need to venture too far, as Tesco will now be stocking this healthy fish at their counters. The beautiful marbled red flesh is suited well for marinating, curing, smoking and pan frying. 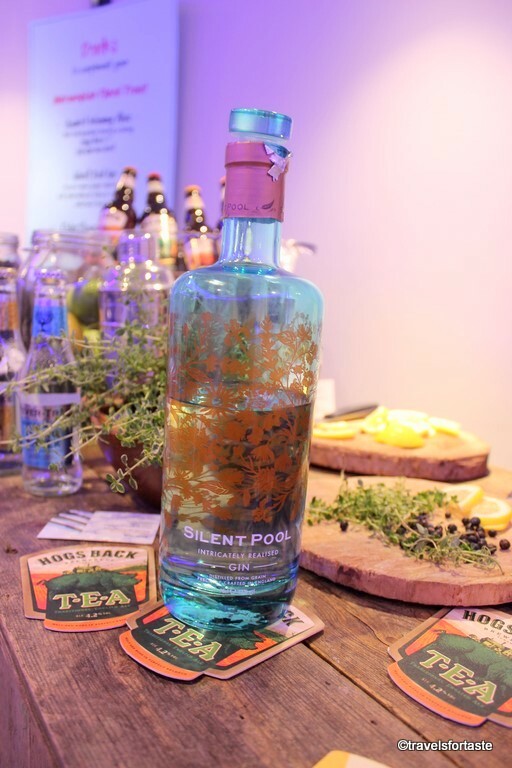 To keep the party going, there was a beautiful bar area set up at the launch event, a refreshing elderflower presse’ made for a great accompaniment to the freshly prepared starters. 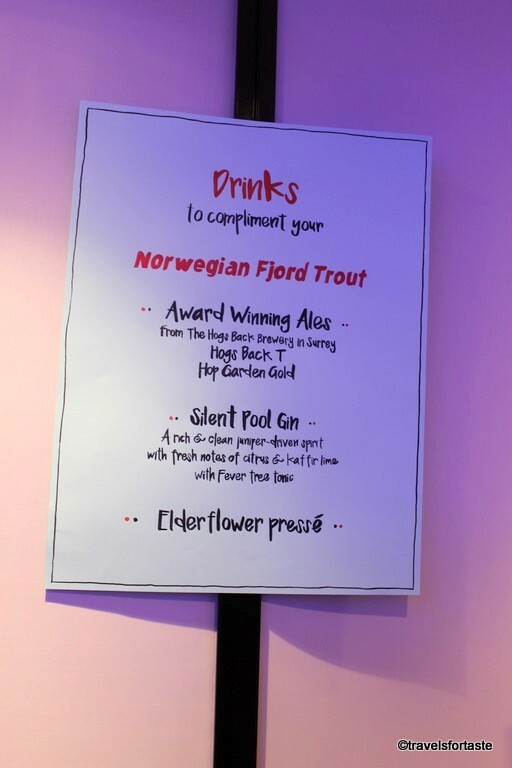 Norwegian Fjords Trout lets you get a Taste of the glaciers straight from the Cold, Clear and spring Norwegian Fjords onto your plate. 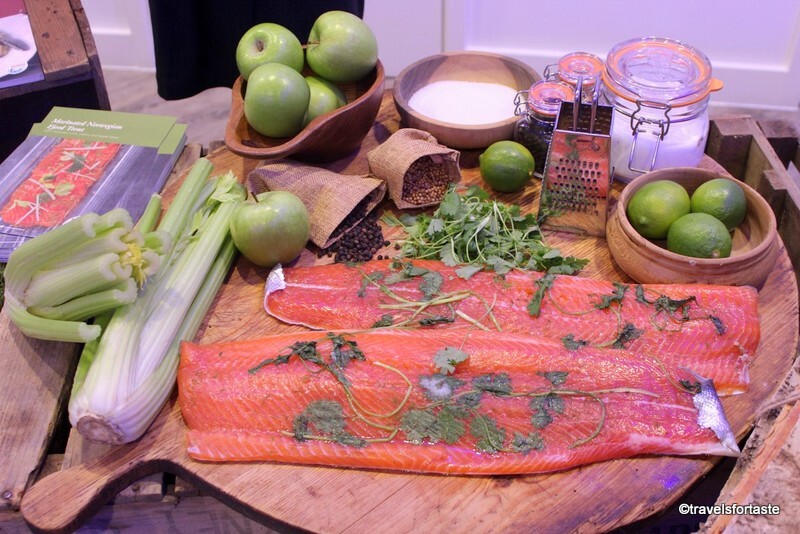 Ready in minutes, enjoy the fjord trout grilled to enchance it’s flavours or bake with fragrant herbs and finish with citrus notes or simply serve marinated as a ceviche. 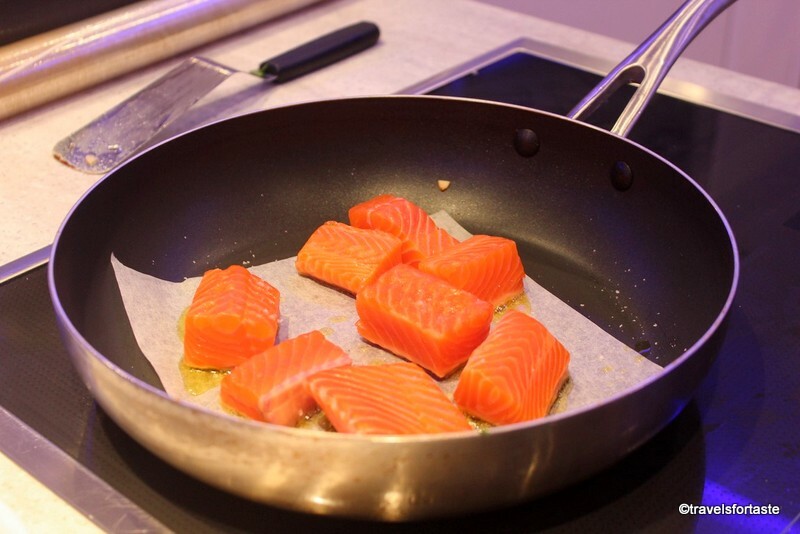 Whichever way you choose to enjoy it, celebrate the arrival of this new and healthy oily fish to the U.K by creating some magic in your kitchen. Where to buy: At select Tesco fish counters at an estimated price of £12.50 per kilo. *Sponsored Post. All images taken by me unless they appear without the ‘travelsfortaste’ mark. 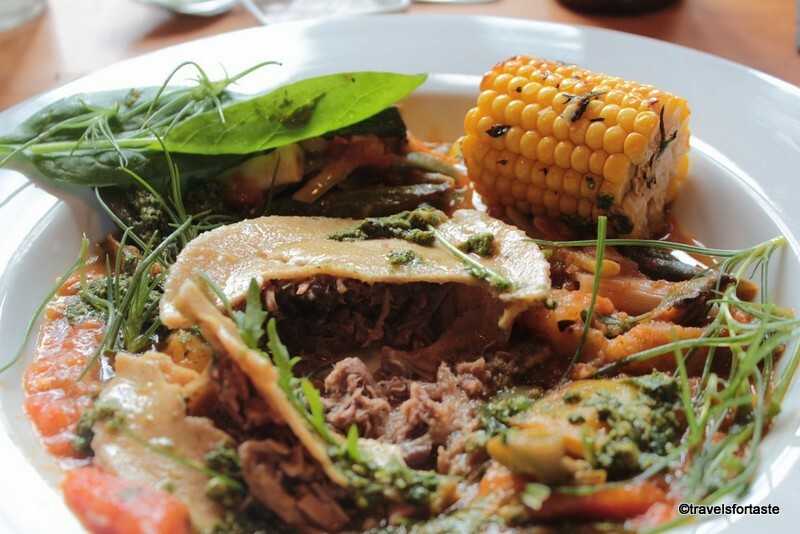 September first week will ring in the second year for British Lamb Week. A campaign that has been launched to popularise the versatile and tasty meat, especially to make it appealing to a younger audience. 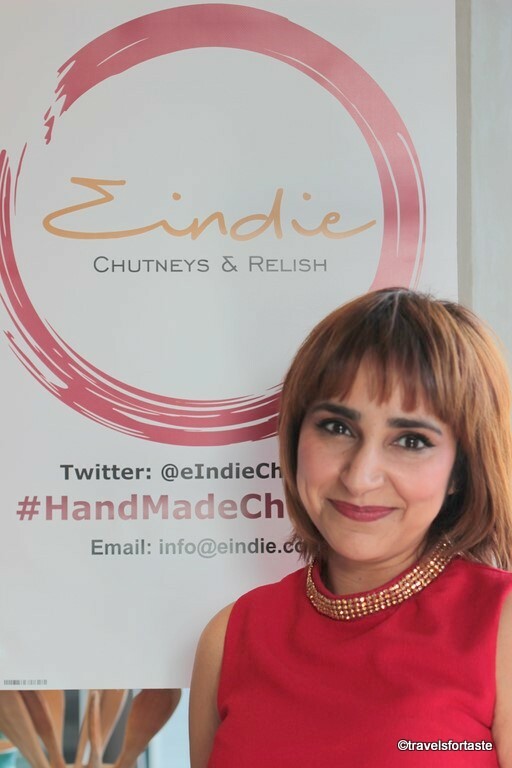 Last year I was invited to the launch of this campaign whch was hosted at Chef Cyrus Todiwala’s restaurant Cafe’ Spice Namaste’. 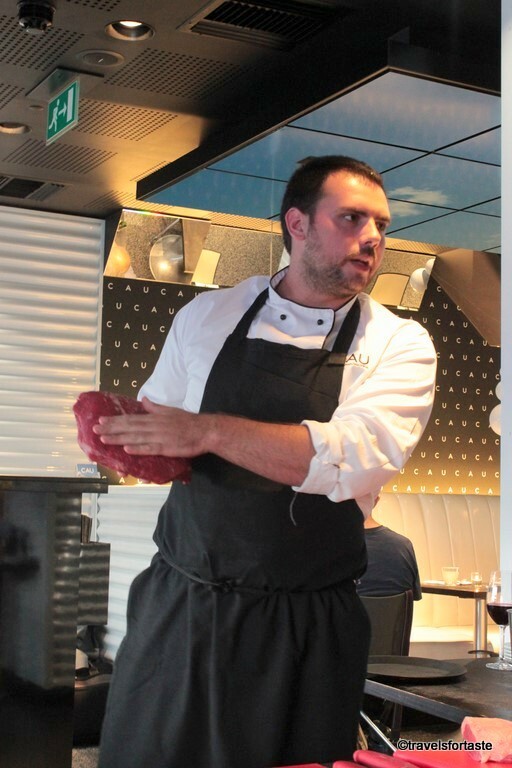 As the new Lambassador for ‘ Tasty Easy Lamb‘ Cyrus very passionately demonstrated some quick and delicious ways to cook lamb. 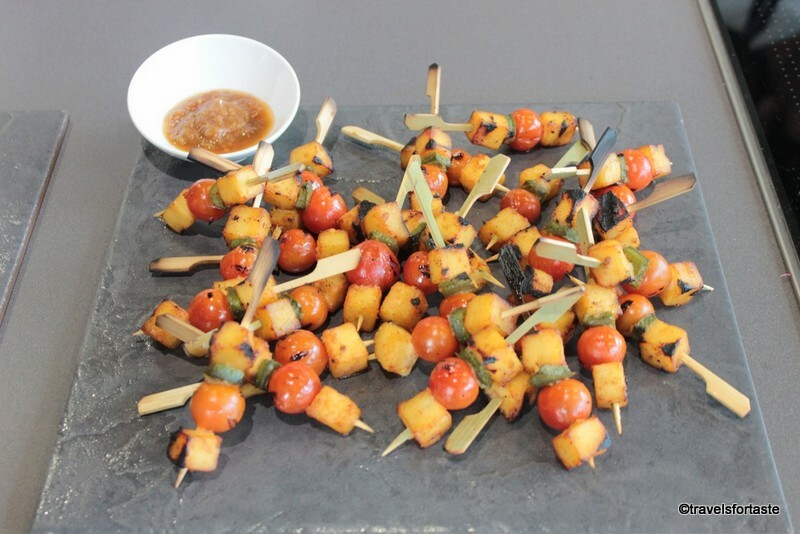 Lamb is perfect for the summer season as it can be barbecued or grilled and enjoyed al-fresco. 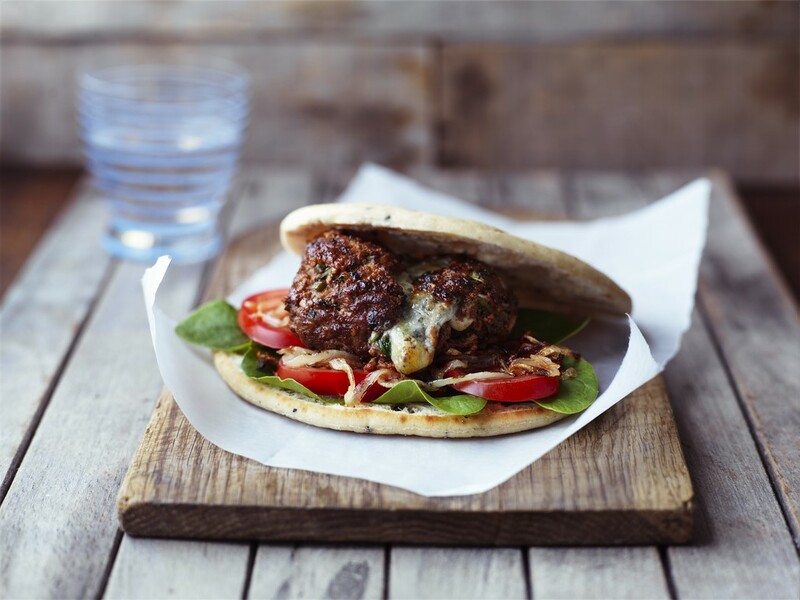 Amongst other dishes we tried a fabulously juicy Blue cheese stuffed lamb burger. 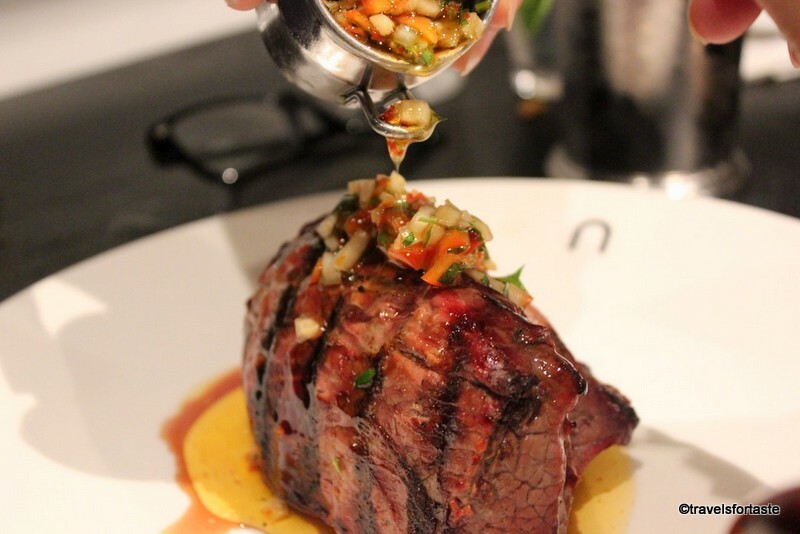 The recipe for this by Chef Cyrus is too good not to share with all of you. 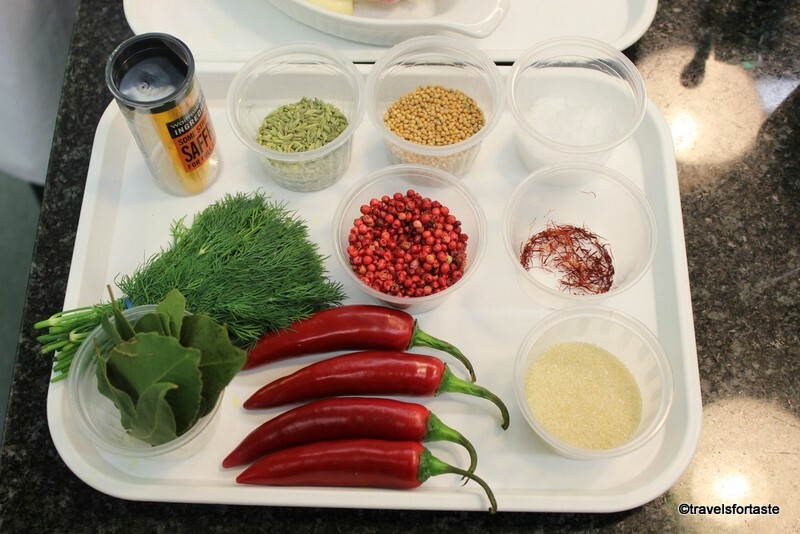 As expected the incredible spice man has incorporated the use of many wonderful spices in this recipe. In a large bowl gently mix all the burger ingredients together. Divide into 6 evenly–sized burgers. In a small bowl blend the stuffing ingredients together and shape into equal-sized balls to stuff the burgers. Make an indentation in the centre of each burger with your thumb and fill with a ball of the cheese. Make sure the cheese is completely encased when you form the burger. Cook on a prepared grill or barbecue for 6-8 minutes on each side or until any meat juices run clear. 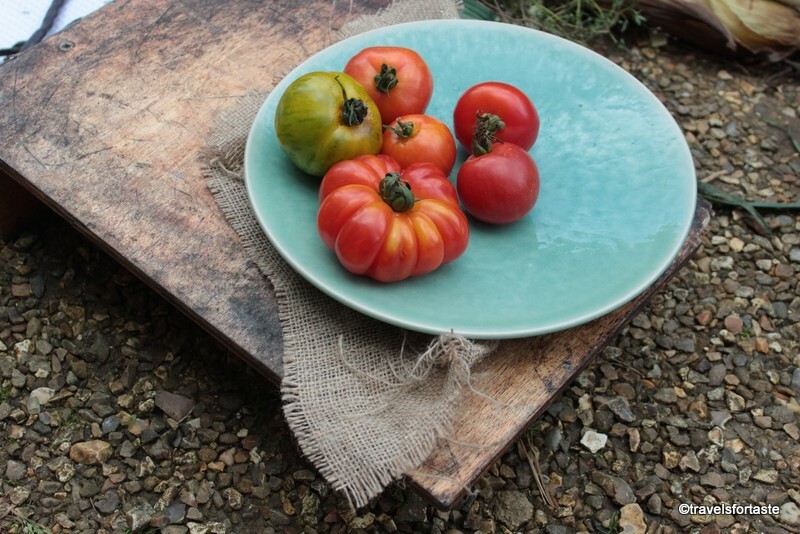 Serve with your favourite bread or rolls with some sliced tomatoes, onion and lettuce and some relish. We must appreciate that the demand for meat consumption is ever increasing in spite of the many pressures on limited resources of our planet. But as a meat lover myself, I must say, that it is great to know that it is possible to love your planet while continuing to consume meat. 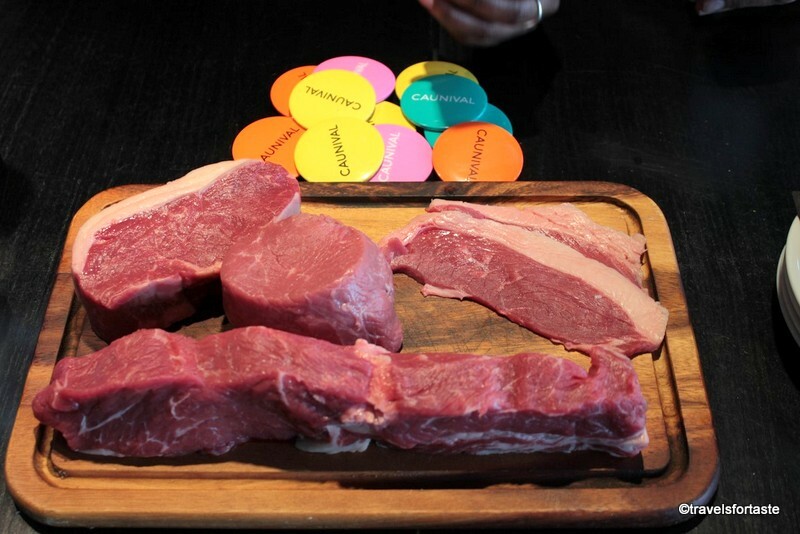 One of the ways to do that is to choose to add locally produced lamb to your diet. 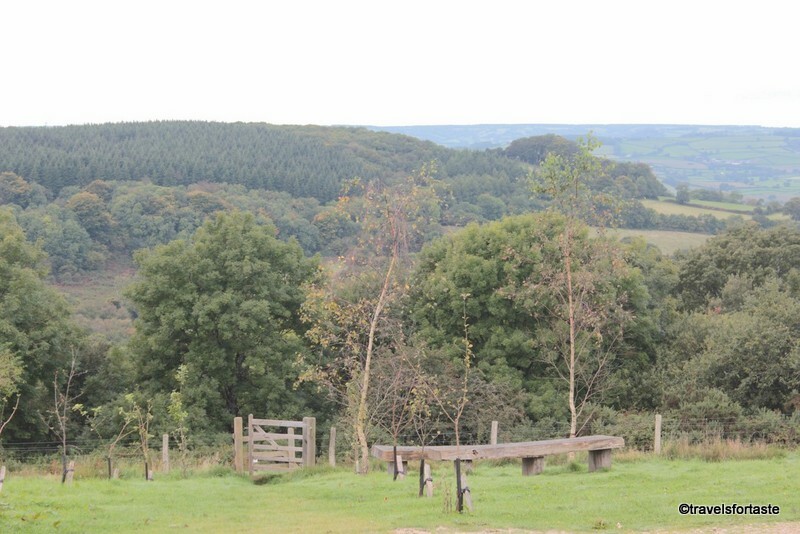 It is not only easy to cook but also, lamb raised in the English countryside is among the most sustainable in the world. Sheep and lambs graze on naturally occurring grass which is good for the environment. 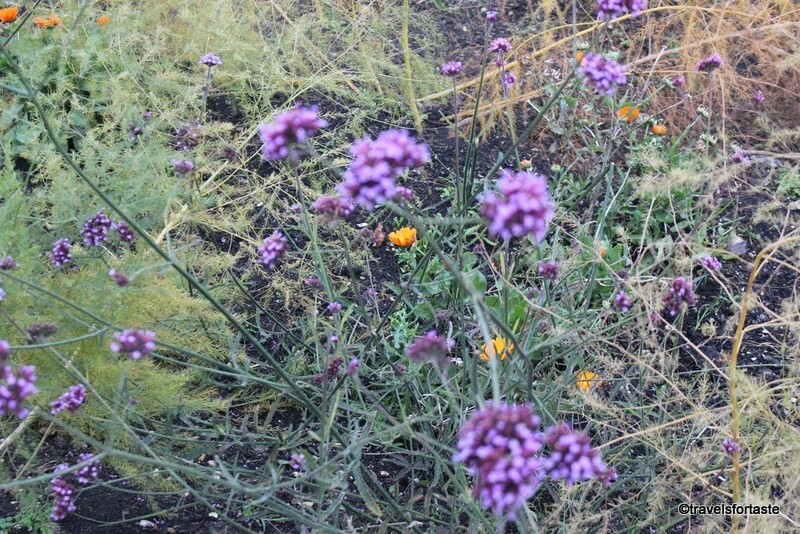 It helps permanent grasslands to pull in carbon from the atmosphere and store it in the soil. 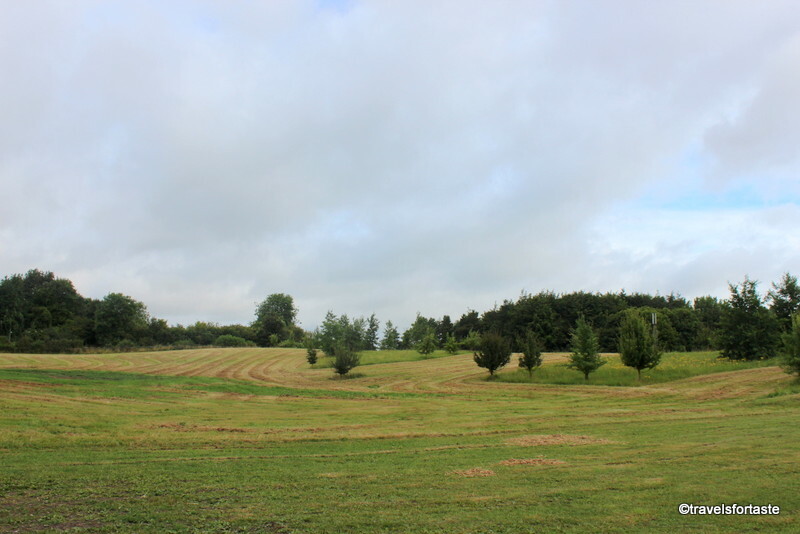 In addition, it preserves water quality and overall helps farms reduce their energy consumption. Along with being sustainable, sheep farming aids employment thereby building communities and supporting the economy. 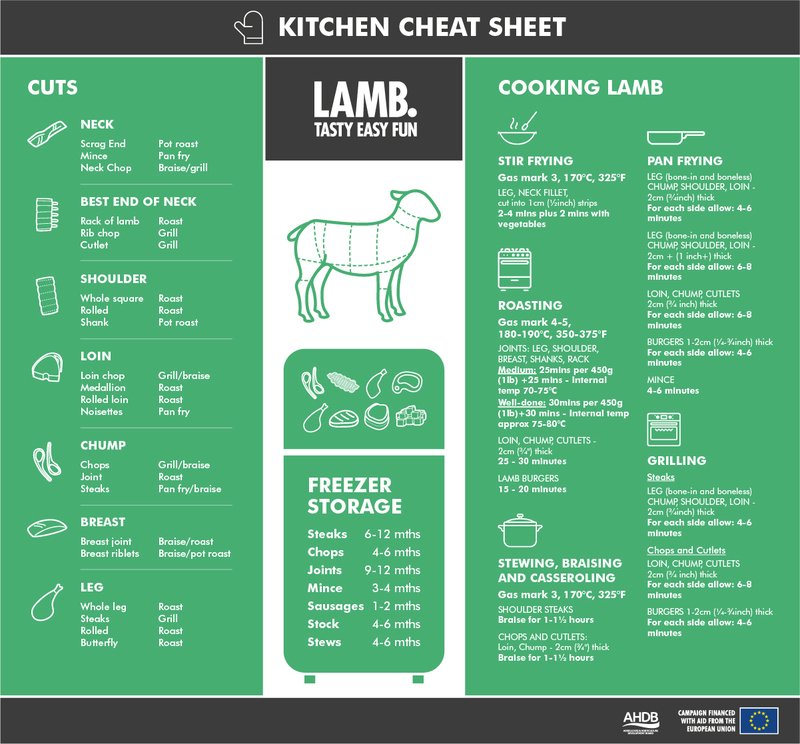 Here is an easy kitchen cheat sheet to get you started with which cuts of lamb are best for what you want to cook, with handy tips on freezer storage and cooking techniques. 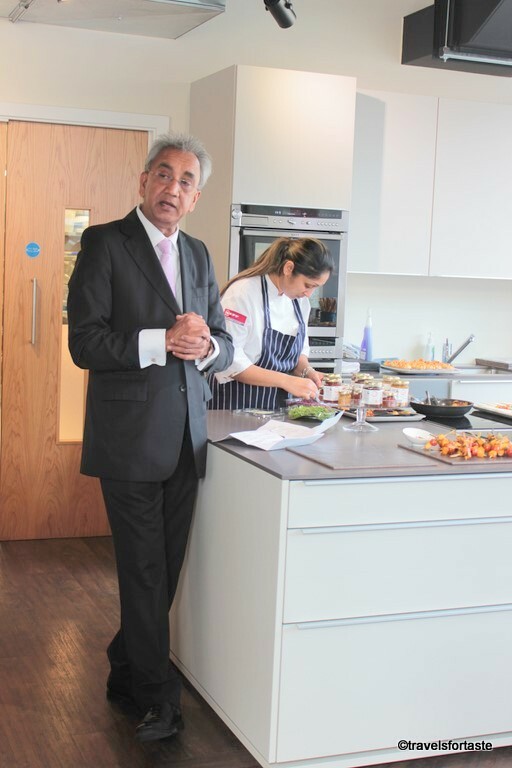 Disclaimer: With thanks to AHDB Beef & Lamb and Cyrus Todiwala for having me as a guest. As always, all opinions expressed are my own. I was not required to write a positive review and was not compensated monetarily for this post. Kitchen cheat sheet chart provided by AHDB Beef & Lamb. 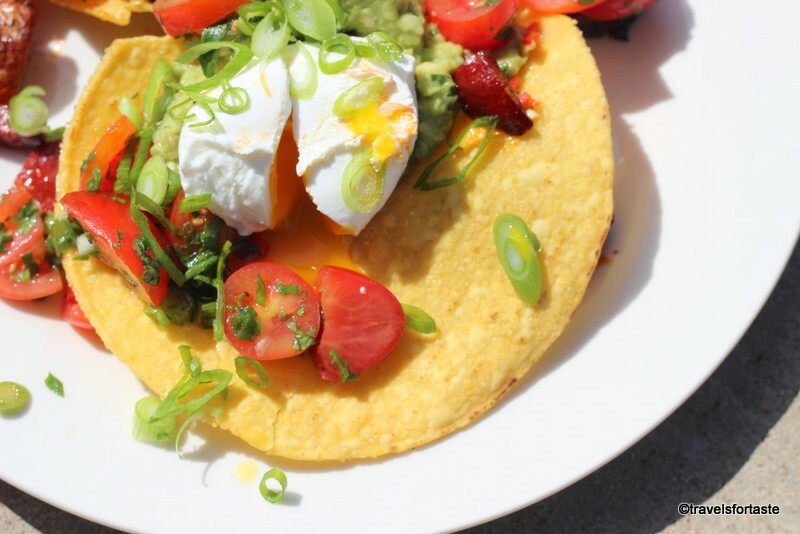 Scrambled, hard-boiled, soft-boiled, poached, in an omelette, in a frittata – whichever way you like your eggs, they are an unbeatable source of protein and unsurprisingly, a much-loved way to kick start the day with a power packed breakfast. I have always loved eggs especially runny scrambled ones like the ones my Baba makes for breakfast. 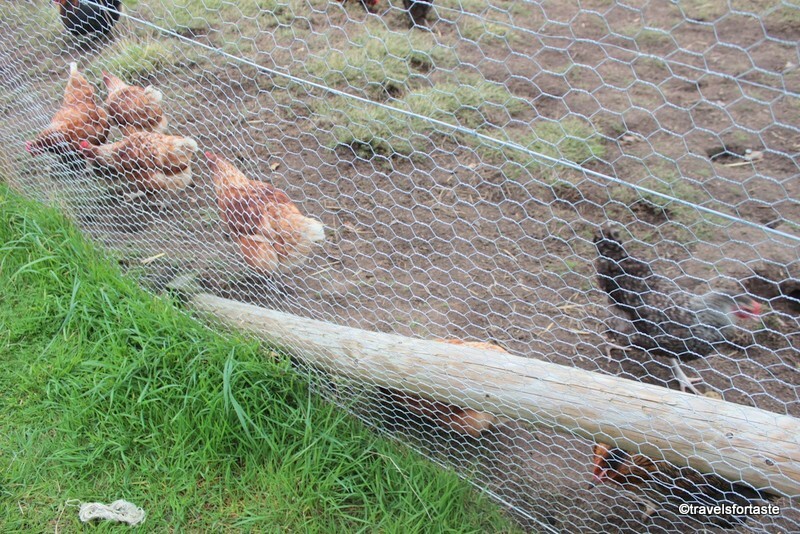 It was hard for me then, to say no to a tempting invitation by Happy Eggs to come visit their farm up in Tring. Having read so much, about how Happy Eggs Co like to have their girls roam around freely, this was a chance for me to experience things firsthand. So on a perfectly fine summer afternoon, I set out from London to the Hertfordshire. Arriving from London on the day would have been a nightmare, so I decided to stay one night in the village nearby the farm. After a rather nightmarish re-routing of my otherwise straightforward journey to Luton, I finally managed to get there only about two hours late, thanks to cancelled and delayed trains. Thankfully, after that bit, it was a just quick drive from Luton station into the picturesque countryside. No better way to recharge my batteries than a quick getaway out of London city limits. 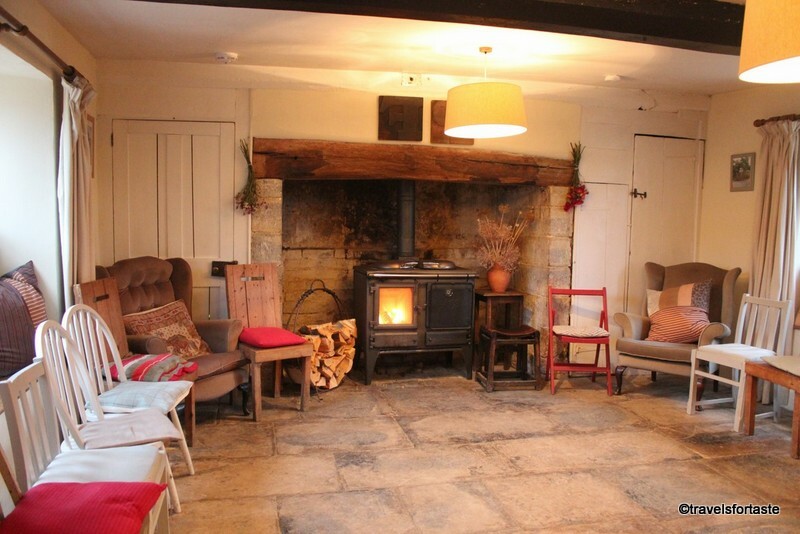 After I checked into the Five Bells Vintage Inn, I met lovely Jane who writes at The Hedgecombers for a quick drink and dinner. It was absolutely fabulous catching up with her after months. Jane is just one of the many amazing bloggers I have met at FBC and over the years we all have become really good friends. 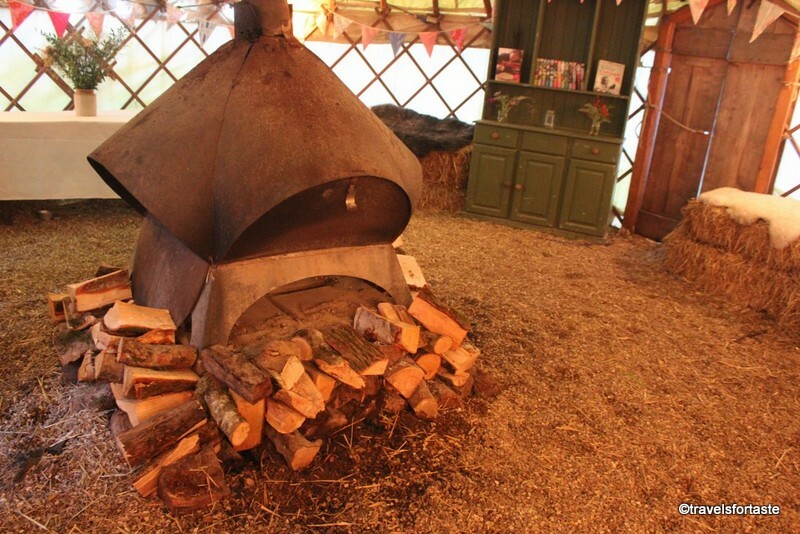 While Jane went back to her cute camper van for the night, I settled in early to ensure I got to the farm on time. Breakfast at the B&B with Jane was a quick affair and I even got to ride with her to the farm in that camper van – Woohoo!!! 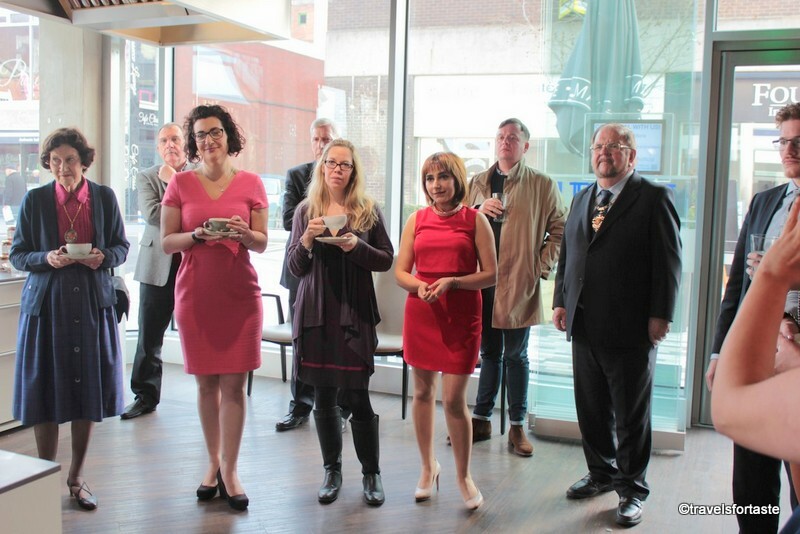 – quite a treat for a city like me! 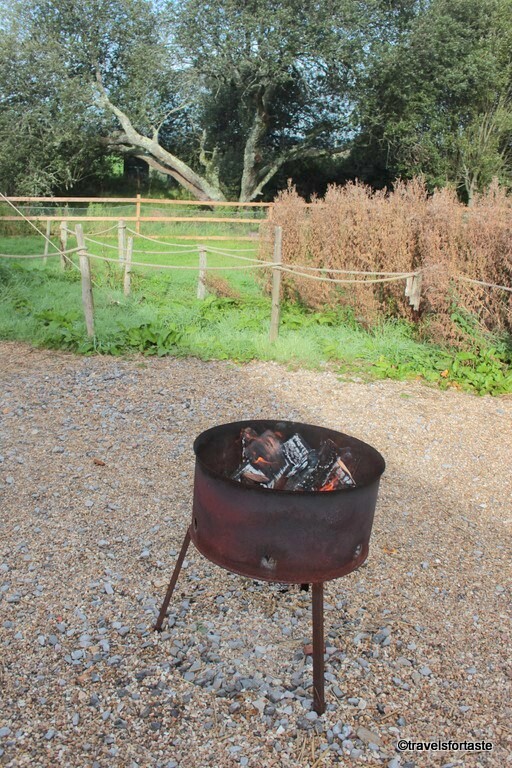 We lost our way a bit and after driving around in circles for a bit we finally made our way to Bulborne farm. 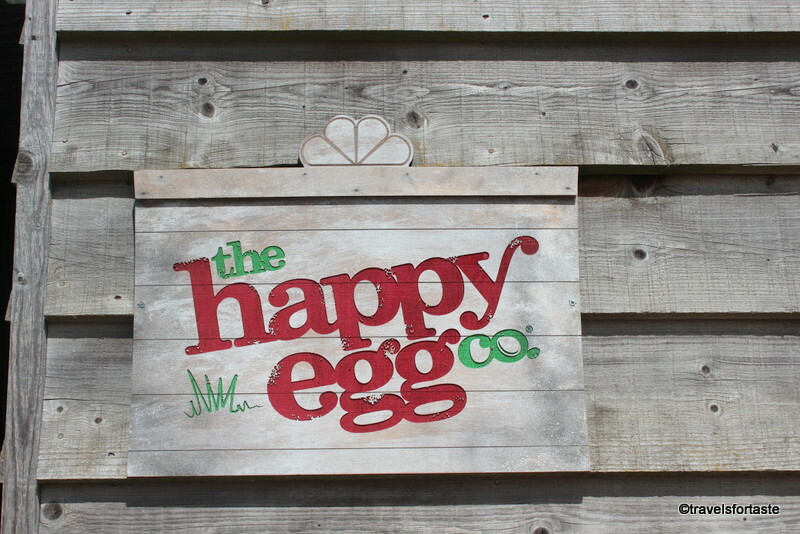 We were greeted by a big bunch of bloggers and the Happy Egg co team. It was a good that we had an early breakfast then, as we missed the morning treats laid out for us. 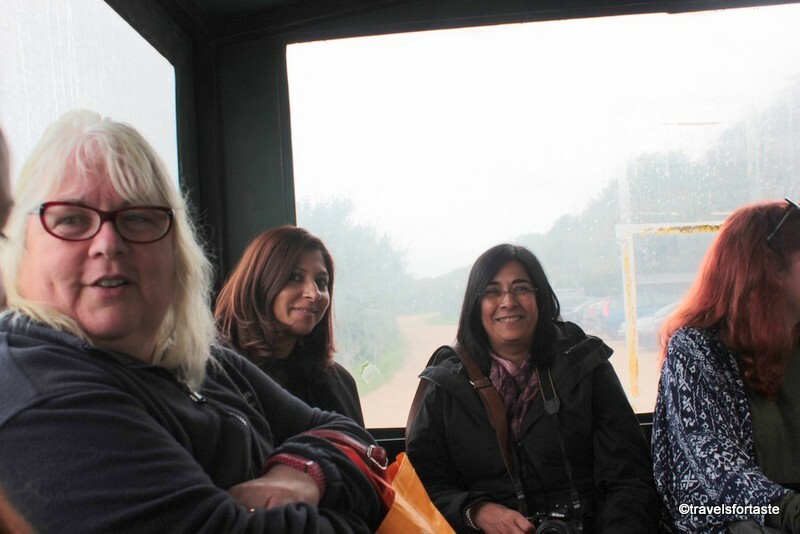 After a quick introduction we all donned fresh blue overalls and sipped into wellies – I have NEVER walked for so many hours in wellies before but it was not as bad as I thought it would be. 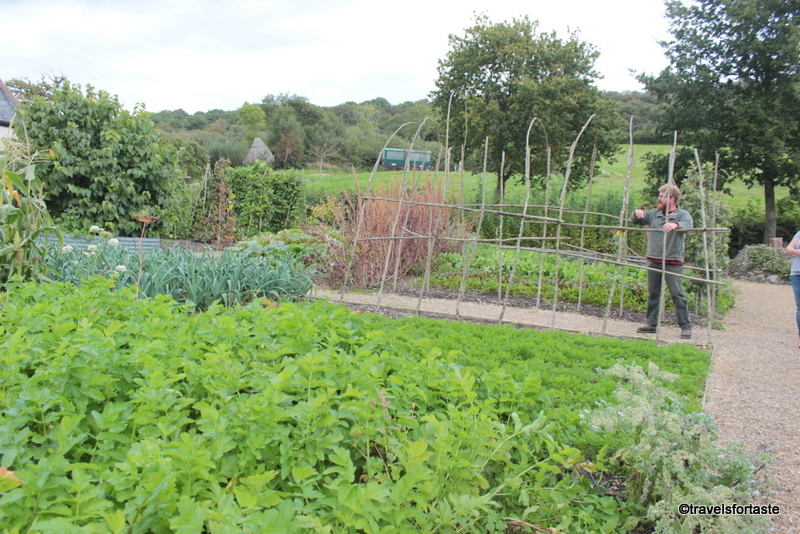 Farmer JP of Bulborne farm is one of the many farmers who work with Noble Foods, the company that owns the Happy Egg brand. 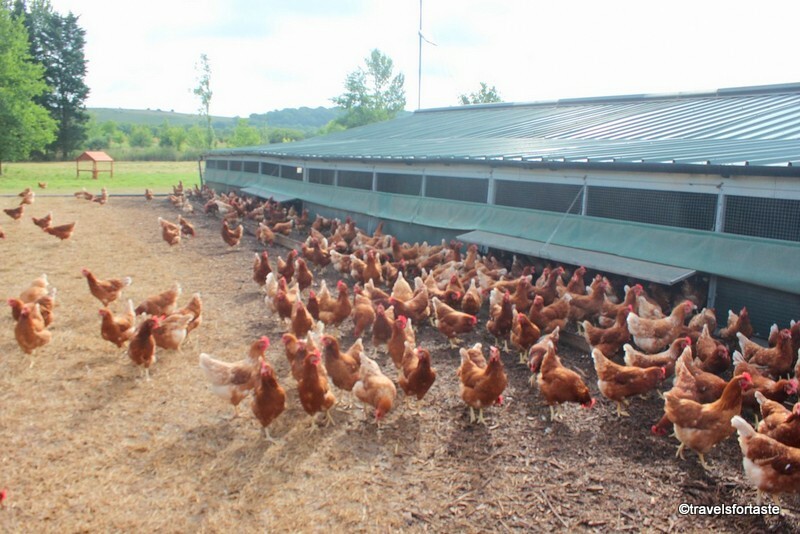 Bulborne Farm houses 14,000 girls as the hens are known or VIBS – very important birds in a space spread across 120 acres. 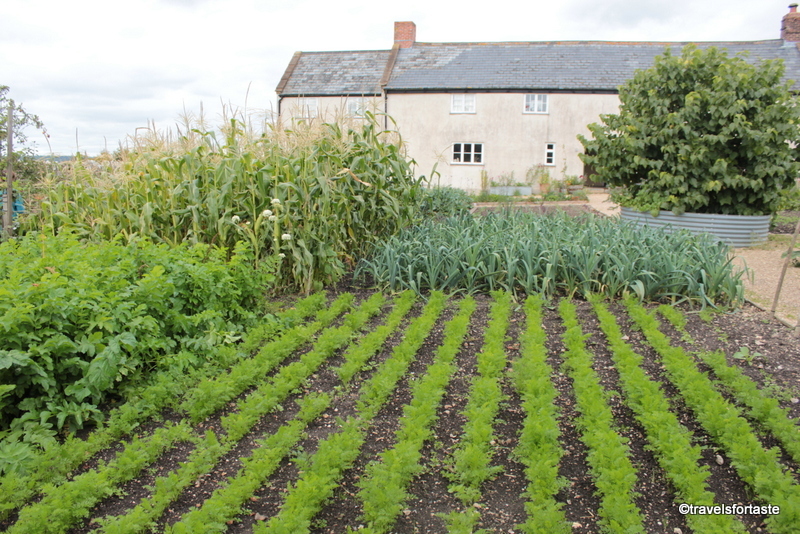 This farm is a fully organic farm which means it is audited by bodies such as Organic Food Federation or Organic Farmers & Growers. This is in addition, to being certified and audited by the BEIC Lion Code. 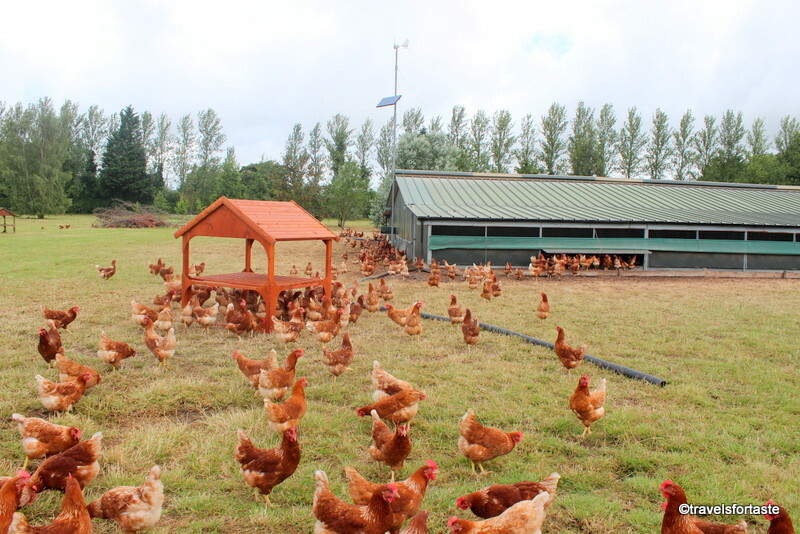 All the Free Range, Barn and Organic farms that Noble Foods works with are also certified and audited by the RSPCA Freedom Food Scheme – a scheme to ensure hen welfare giving them not just wide open spaces to roam around freely but also to ensuring that they have access to dush baths and specially designed activity kits. 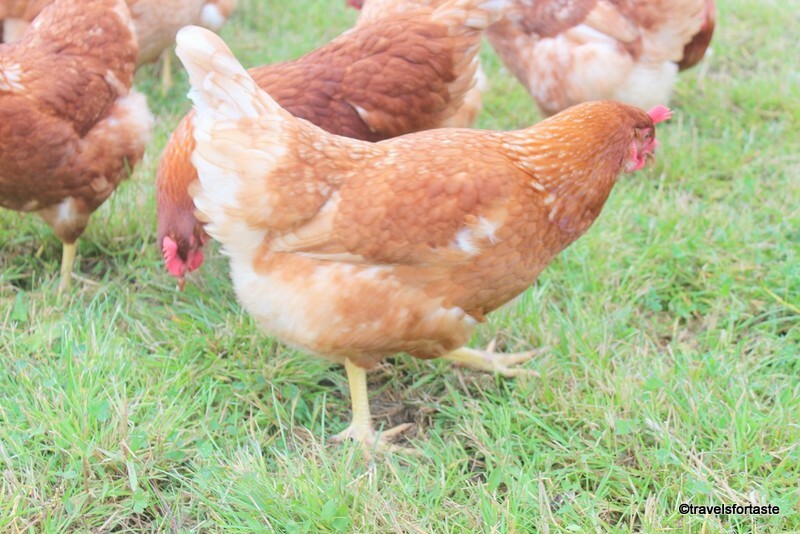 The focus on hen welfare and production of free-range eggs is given so much importance that they even sponsor research into work that how to create and maintain a stress free environment for the girls and keep them happy. After all Happy Hens produce Happy eggs! At the hen house we walked to we saw the hens run outside to enjoy the sunshine and all the while they clucked away sounding very happy. 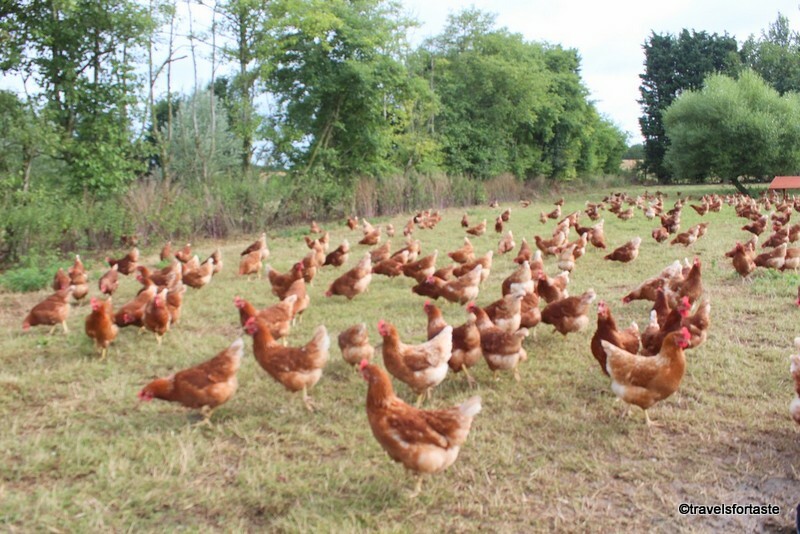 As we stood and took in what Farmer JP told us about a typical day in the life of an egg farmer, the hens roamed around freely around our group, not in the least perturbed by our presence. While one part of our group went inside the hen house to look at how it is designed and what facilities are provided to ensure the hens are healthy and happy and feel safe while laying eggs, we took turns holding these handsome birds. The naughty hen I held tried to peck at my hand and escaped from my hands before I could pose for a decent picture – naughty girl! 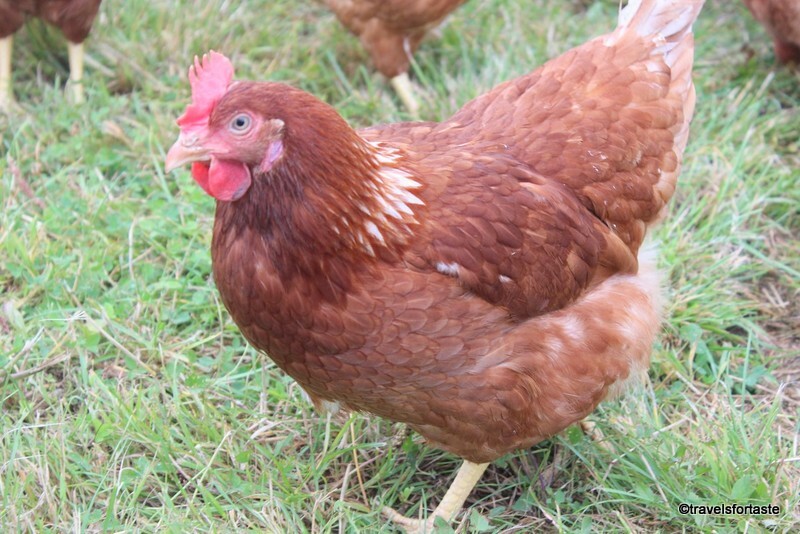 Did you know that a hen lays an egg every 26 hours? 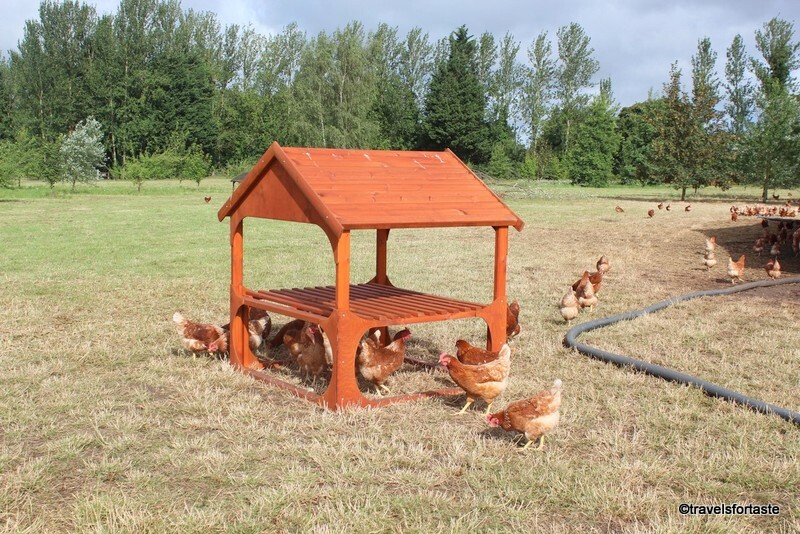 Or that hens need dust to keep themselves clean and well groomed? Hens are very intelligent beings and quite inquisitive by nature. 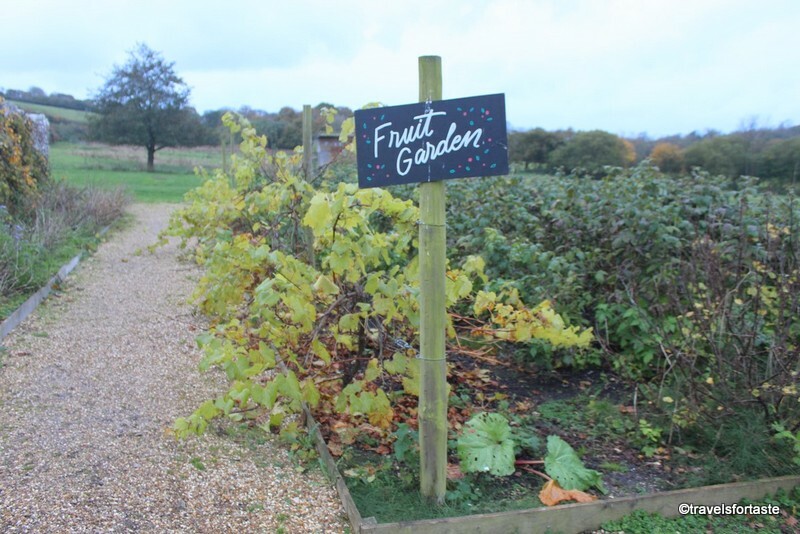 To ensure that they get to satisfy their natural curiosity, each farm ensures that at least 20% of every range must have trees planted on it. Farmer JP explained that he understands the difference between a happy clucking and would know of his girls were unhappy instantly. 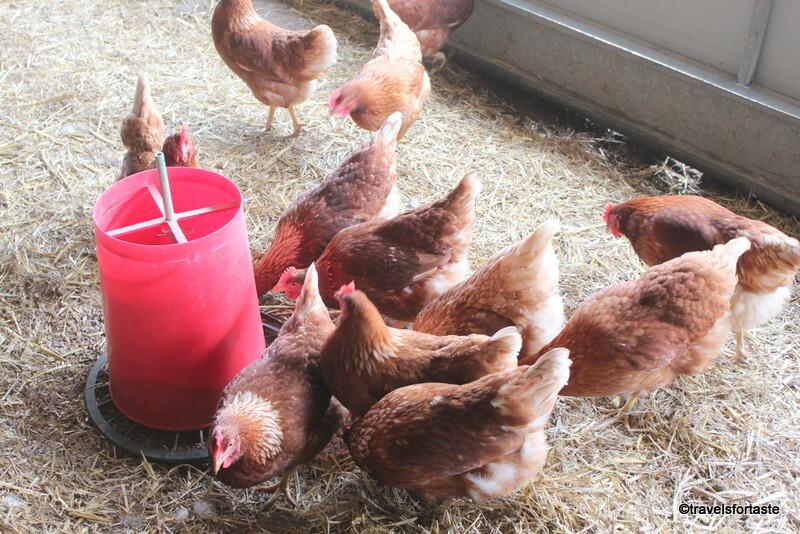 One of the indicators as I already mentioned is that the hens are fearless around humans, also the hens at his farm have a very healthy and shiny set of feathers. Now that we have established that these eggs truly are free-range, how do we differentiate them in taste. 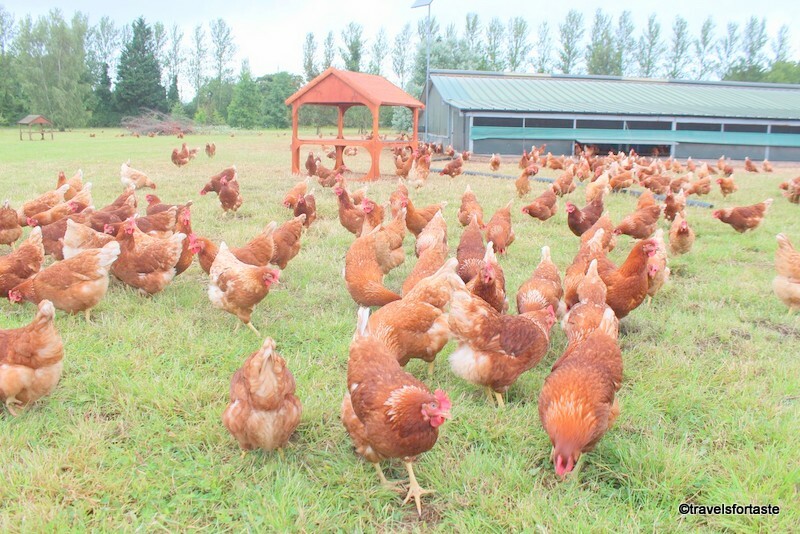 Farmer JP told us that the happier state of mind and healthy living conditions of his Happy hens results in tastier eggs and lesser eggs with defects like a thin shell or wrinkled egg shell – which indicate that the hens are under stress. 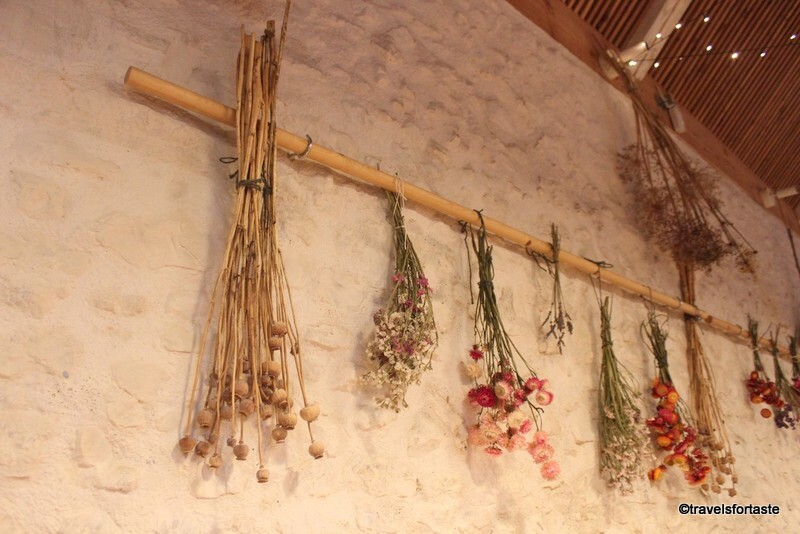 As I walked into the hen house, I steeled myself for an assault on my olfactory senses – what with all the pee and poo of hens, but honestly I was quite pleasantly surprised. 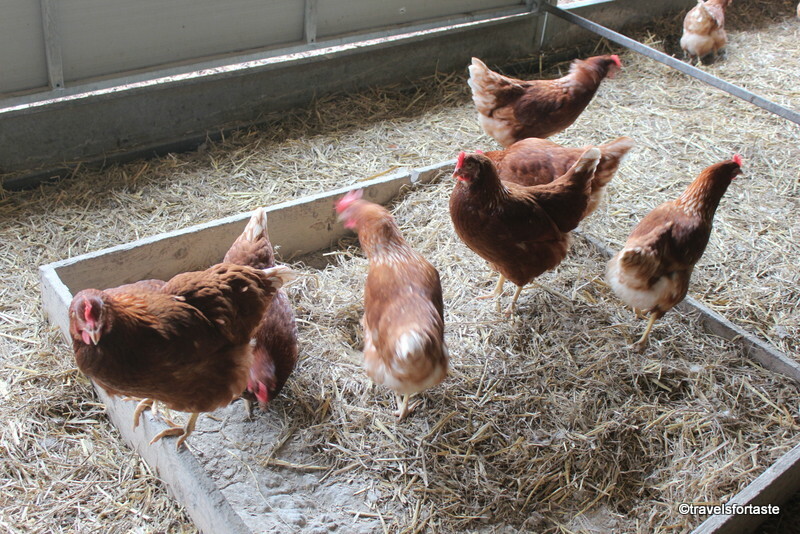 There was dust flying around as a bunch of excited hens were jumping around in their dust bath and cackling loudly as if exchanging some juicy gossip.JP explained that the feeders, waste management system and egg collection areas are designed to ensure that hens are well-fed, their living space clean and privacy to lay eggs when ready is provided. On being quizzed about an article in the Daily Mail about hens being caged, we were informed that those hens were being treated for an illness and the article was factually incorrect. A claim that was backed by RSPCA. Sadly, as the article was not fact based, it was followed by an apology later. Unfortunately, bad news spreads like a virus and this affects all the farmers who strive to maintain high standards. 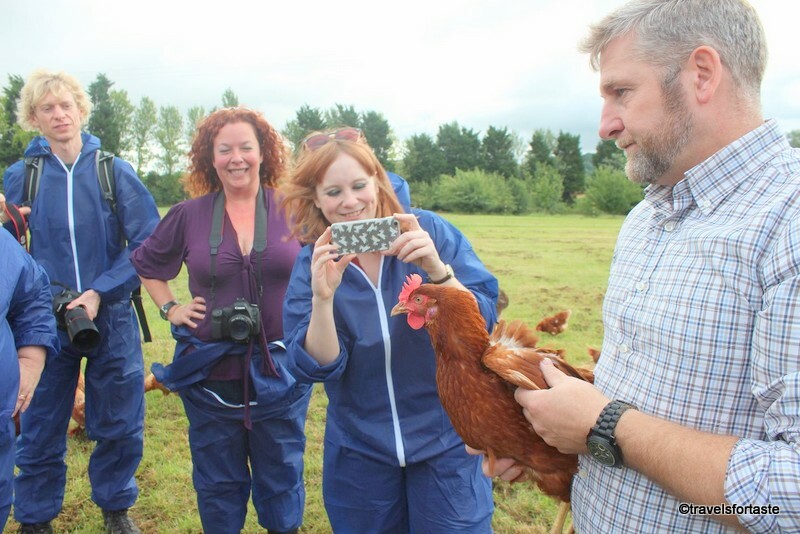 I speak from my personal experience of my visit to Bulborne farm which I can assure you are clean and work hard towards hen welfare, contribute to research and perform better than expected during all their audits, yes, even the ones that happen unannounced and when least expected. 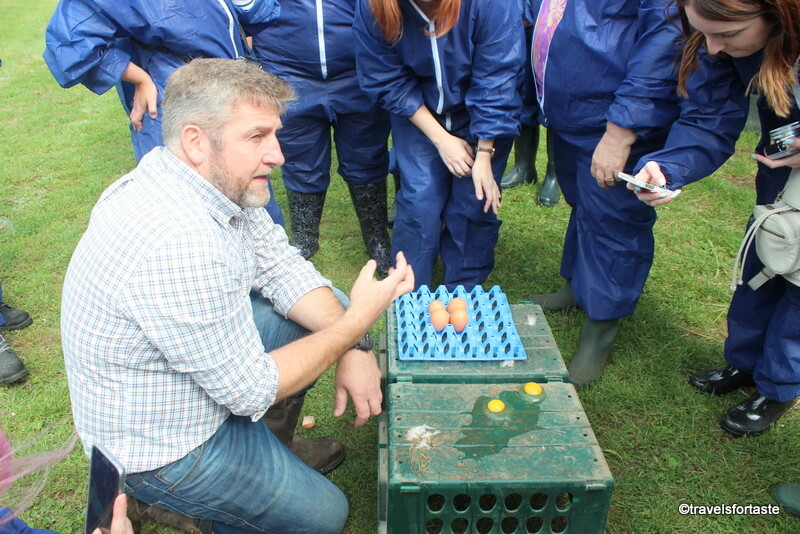 We then picked some of the freshly laid eggs and had a look at the area where the eggs are stored before being shipped out. 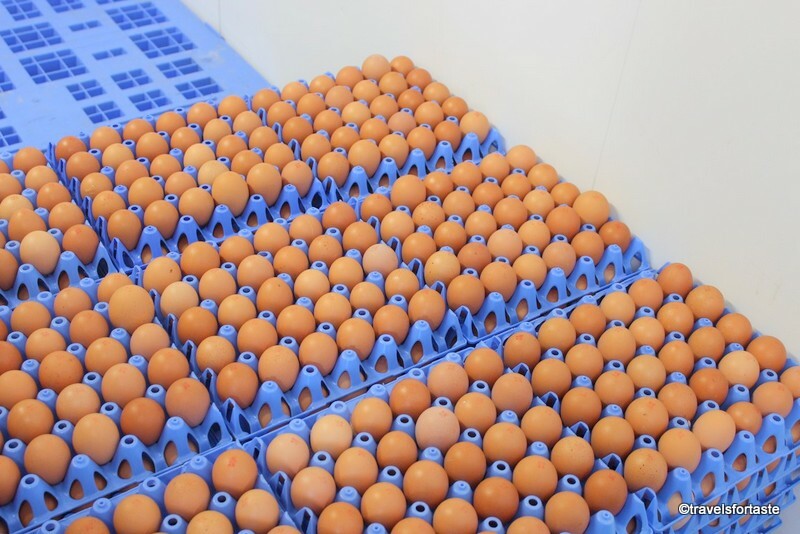 The stamping of the eggs is a manual process and the unique codes help identify exactly which farm they originate from. 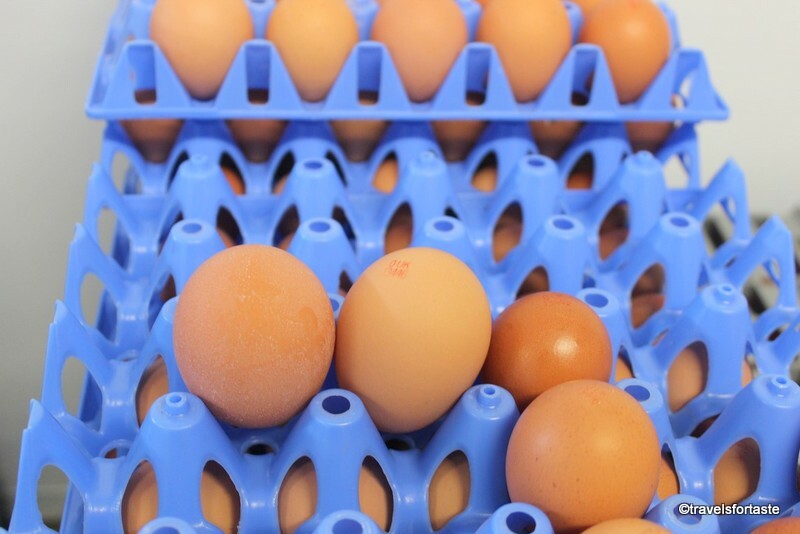 The eggs are graded by size and packed into the trademark cheery yellow cartons that are so easily recognisable on supermarket shelves. Famished after all that hard work we headed back to the base where a freshly prepared four course meal awaited. 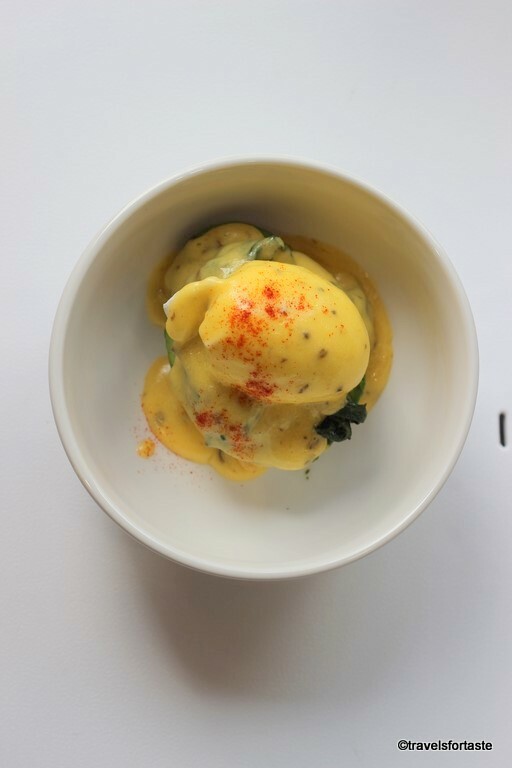 Chefs from Jackson & Rye restaurants in London cooked us a feast of smoked devilled eggs as canapes’ sprinkled with chives and a taste of delicious mayo, creamy avocados and spinach in Eggs Florentine. 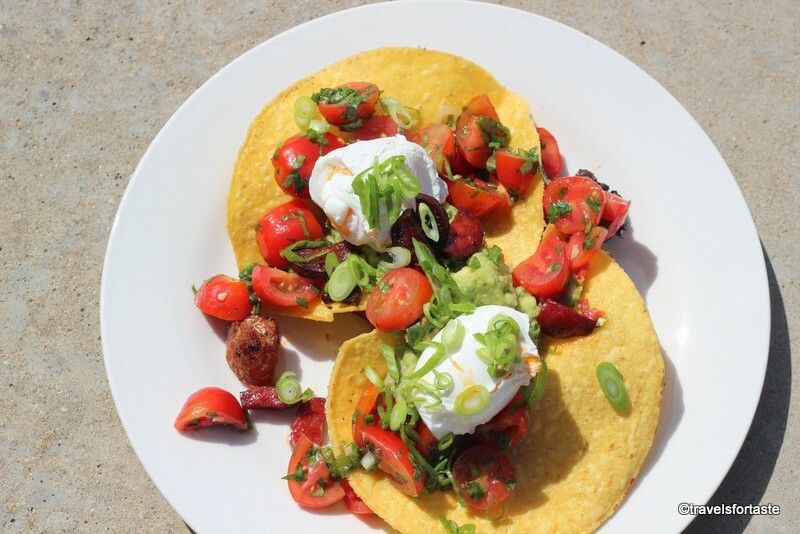 This was followed by a massive portion of the classic Mexican treat – Huevos Rancheros – loved the perfectly poached eggs on top oozing golden yolk and the fresh tomatoes and guacamole. 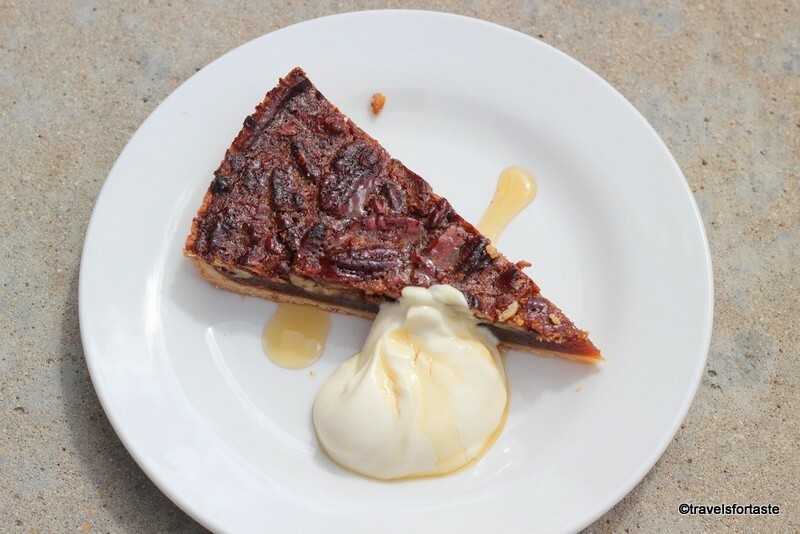 Dessert was a Pecan tart which I wolfed down at lightening speed. 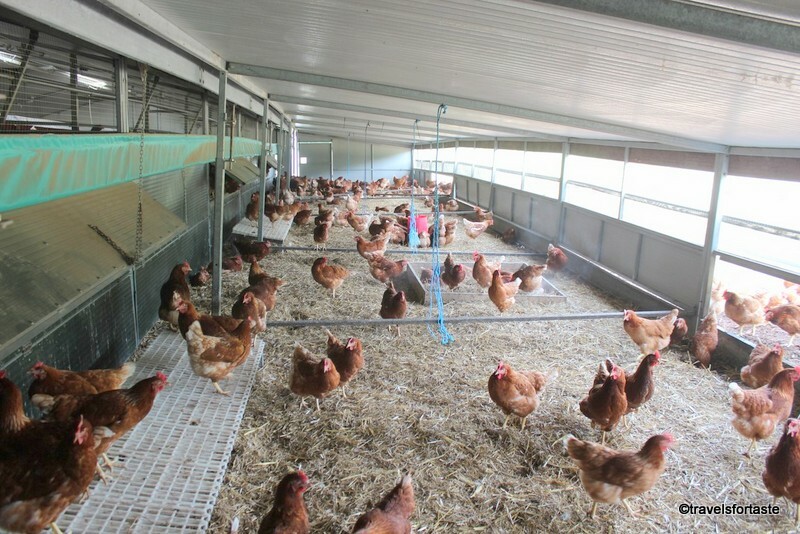 To truly understand the meaning of free range and how gold standards are achieved and maintained one must experience at close quarters how a Happy Egg farm is managed. By no means an easy task, the passion that the whole team here has towards hen welfare is evident from the love they have for these birds. 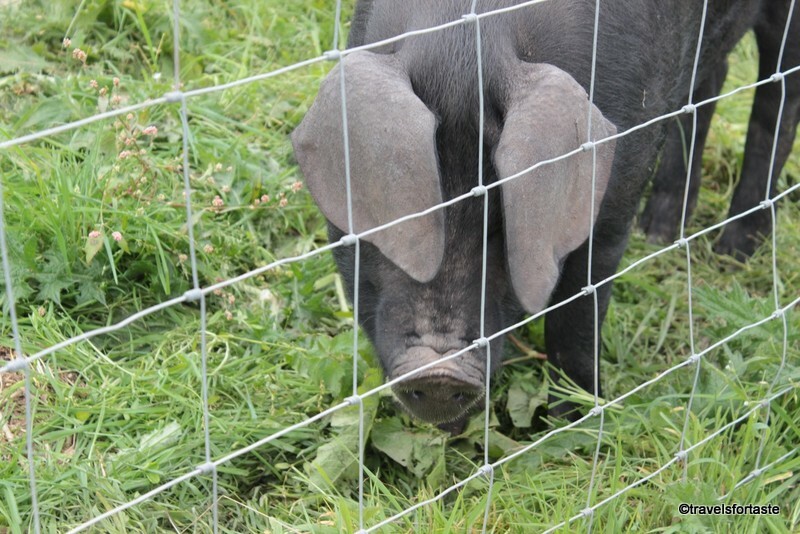 Why not have a look at some of what the other bloggers who came along for this farm visit have to say? They made egg-cellent company and we were so egg-cited to meet each other! 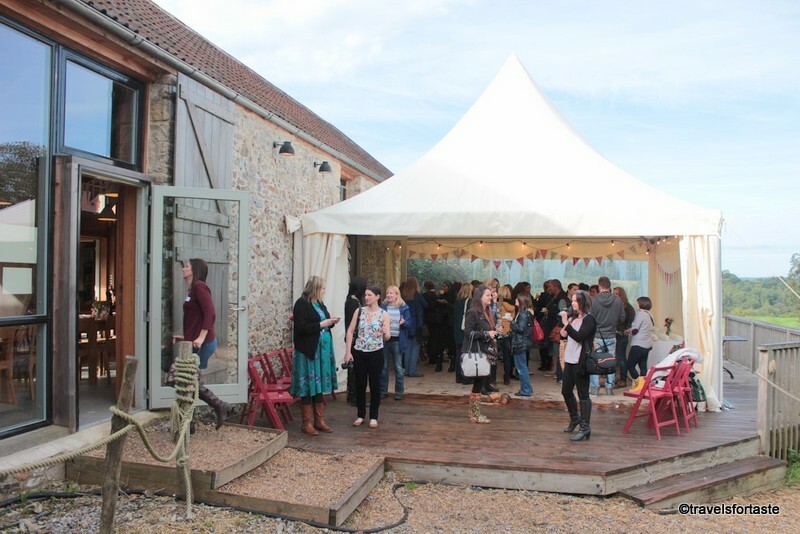 Disclaimer: With thanks to the Happy Eggs co for having me as a guest at Tring and Bulborne Free Range Happy Egg Co Farm. 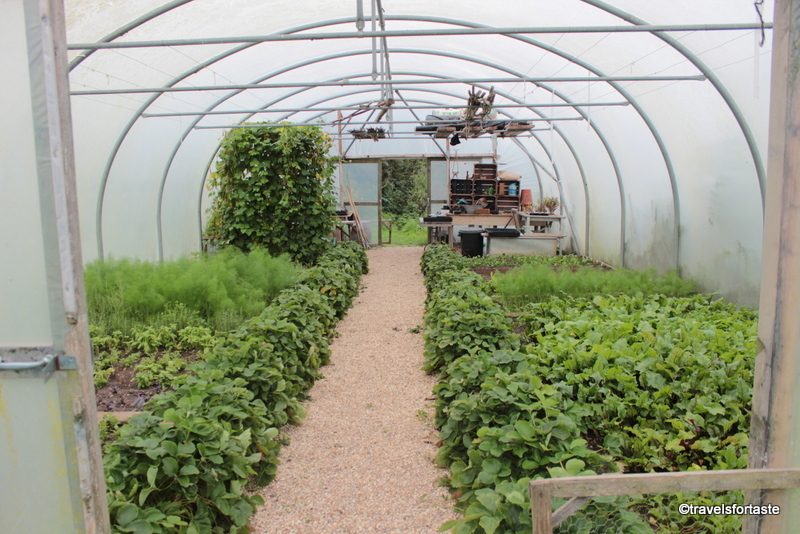 Many Thanks to Farmer JP and his team for a fabulous day out. As always, all opinions expressed are my own. I was not required to write a positive review and was not compensated monetarily for this post. 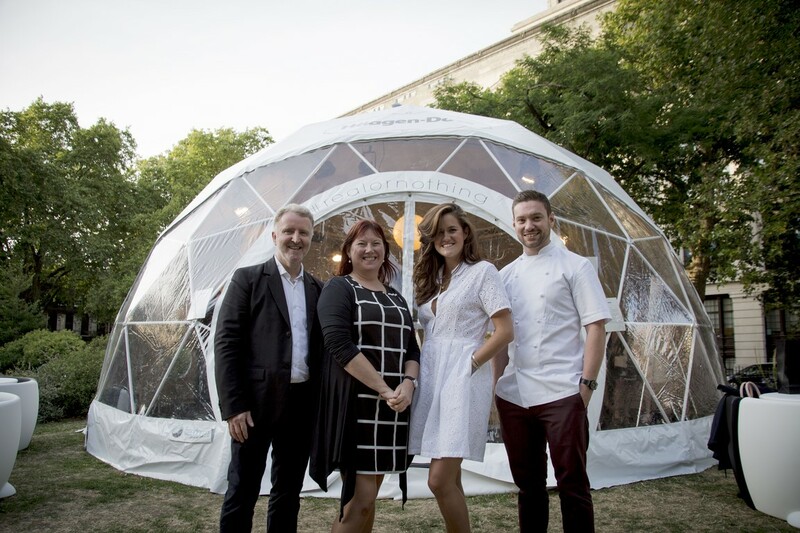 Häagen-Dazs unveiled their Master Ice Cream Academy last week at Bloomsbury Square with a multi-sensory Haagen Dazs experience. I am always drawn to their luxurious ice cream because the ingredients are the very best and so ‘real’ – meaning no preservatives, no artificial additives and definitely nothing nasty! To host the academy Häagen-Dazs brought together a panel of expert ambassadors ‘The Masters of Real’ – who helped create a unique experience for some select bloggers and members of the press. 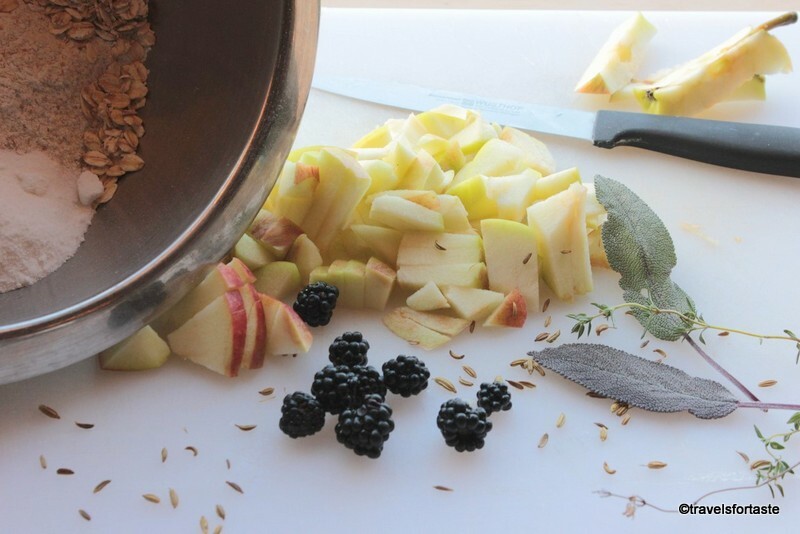 The academy is founded on the principle that ice cream should be made with high quality, carefully selected ingredients. 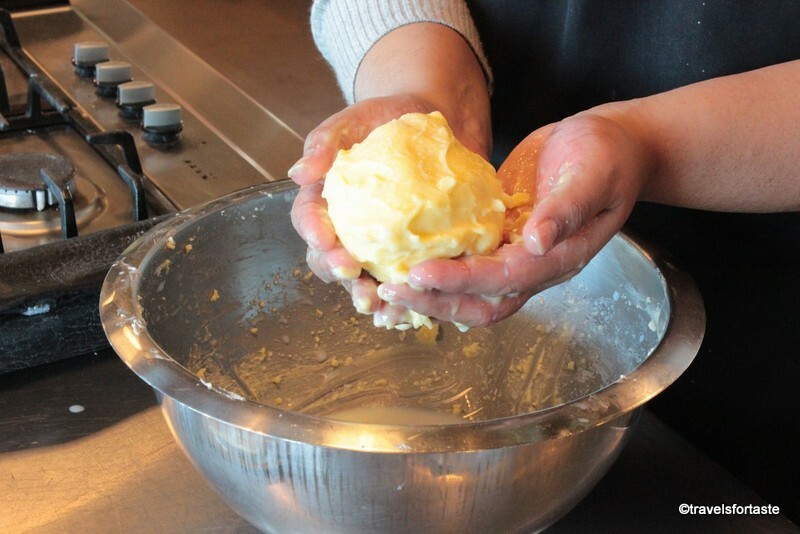 That’s why Häagen-Dazswill always start with a base of four ingredients – real cream, real milk, sugar and eggs – no vegetable fat, no preservatives, and minimal air. 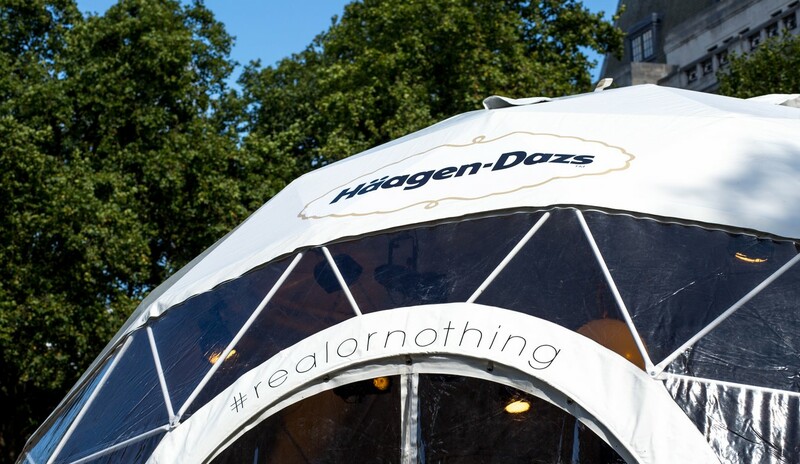 The Masters of Real ambassadors all share Haagen-Dazs’ belief that Nothing is Better than Real. That is the carefully crafted Vanilla recipe by Häagen-Dazs hasn’t changed since they the company first started making it in 1961 – which is exactly what was the vision of their founder Reuben Mattus. Hosted in a specially created dome we participated in a few simple yet interesting experiments that revealed how our senses react to various stimuli. ‘The Masters of Real’ – acclaimed Head Chef at Duck & Waffle, Dan Doherty , leading lifestyle blogger Rosie of ‘The Londoner’ and sensory expert Professor Barry Smith, helped bring to life the qualities of premium ice cream, encouraging us to explore our senses: aroma, sound, colour and texture, to discover how much they influence our indulgent moments. 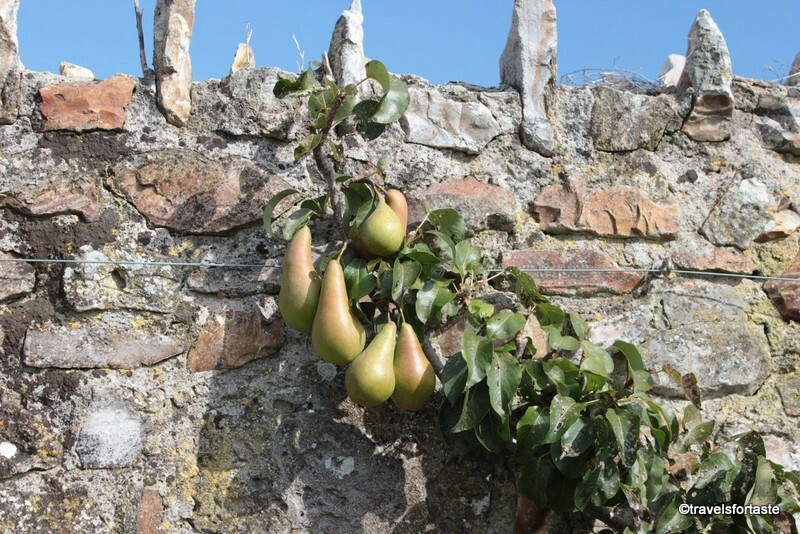 Here is a video about a conversation between Professor Barry Smith and Rose Thomas discussing the science of taste. 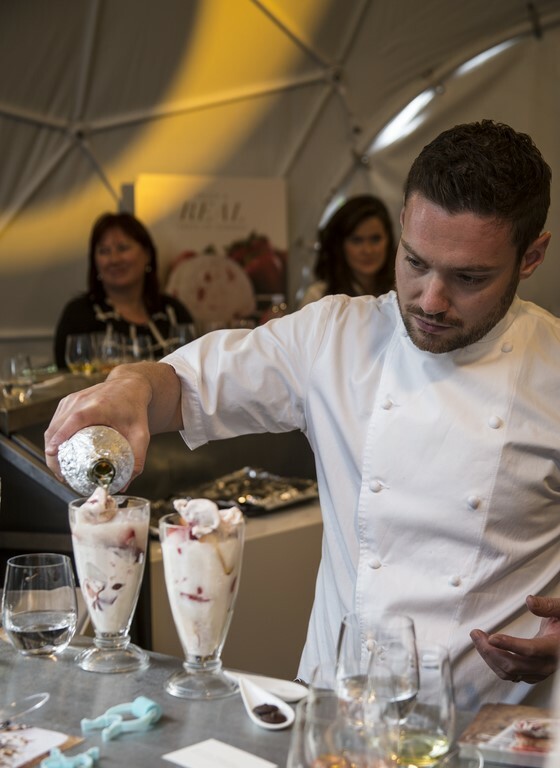 Chef Dan Doherty crated a simple yet delicious treat for us using strawberries and cream Häagen-Dasz ice cream, topped with toasted almonds it was just the thing we needed on a warm summer afternoon. 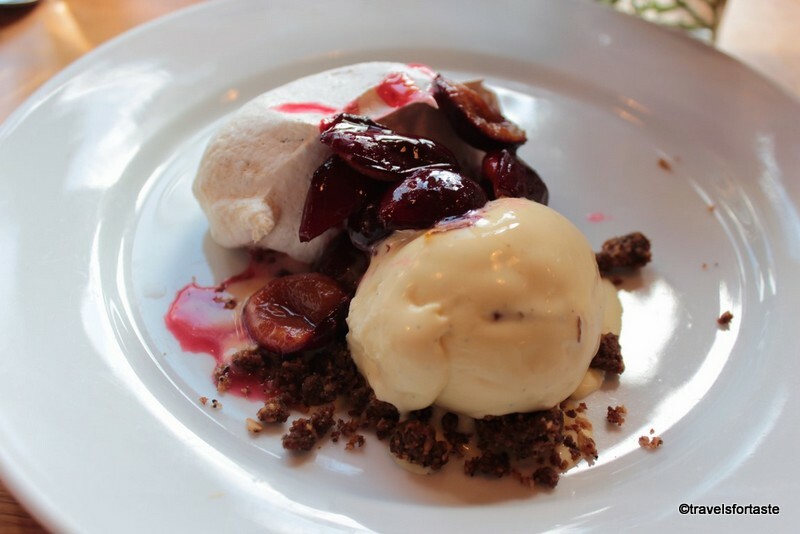 Why not recreate Chef Dan’s peach melba float recipe at home this summer ? 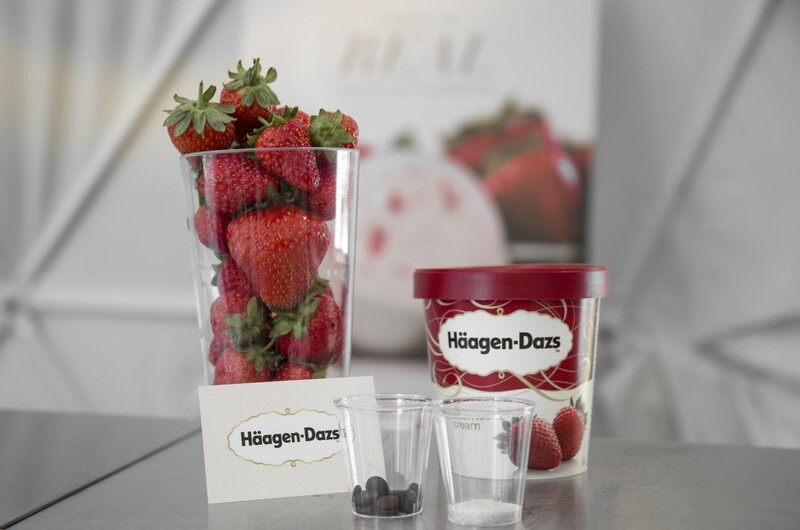 Experience and share the indulgent and luxurious taste of Häagen-Dasz with friends and family! I for one couldn’t stop scooping out the peach melba from the tall fruit laden glass but then we were given more ice cream to eat . This time it was to experience how the sense of touch alters our taste – comparing the feel of a soft silky piece of cloth to that of another that wasn’t as smooth – made all the difference on my taste buds! But as I began to peel off the lid of my ice-cream tub in greedy haste, salivating at the thought of another chilled treat, we were asked to wait just for a few minutes longer – to ensure we didn’t end up a broken spoon! Haven’t we all had that experience where we dug our spoons into a really tempting tub of ice cream only have the handle bend backwards or worse still end up with a broken spoon? To prevent that from happening always allow your Häagen-Dasz ice cream tubs to rest for about ten minutes so the ice cream can be scooped out easily. 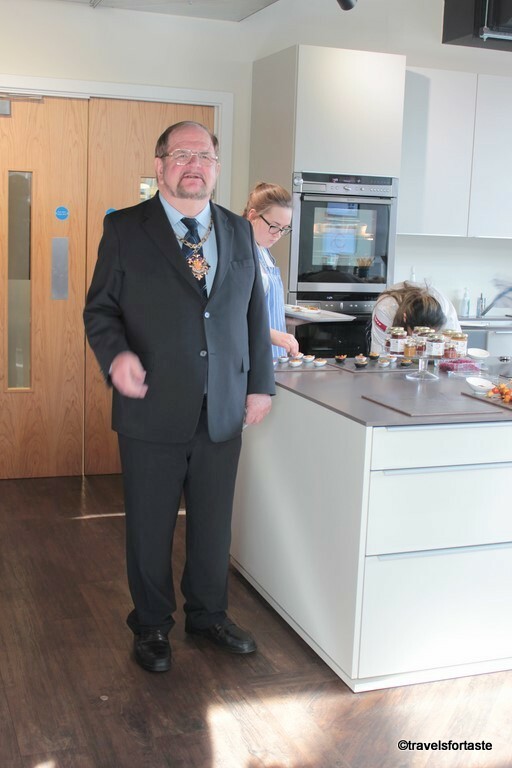 I was most curious to learn about how music alters our experience of eating the very same food by affecting our mood and Professor Barry Smith played two very different types of tracks while we sampled the peach melba float. I was very keen to gain some more insight into the work done by Professor Barry Smith into his research into the science of taste. 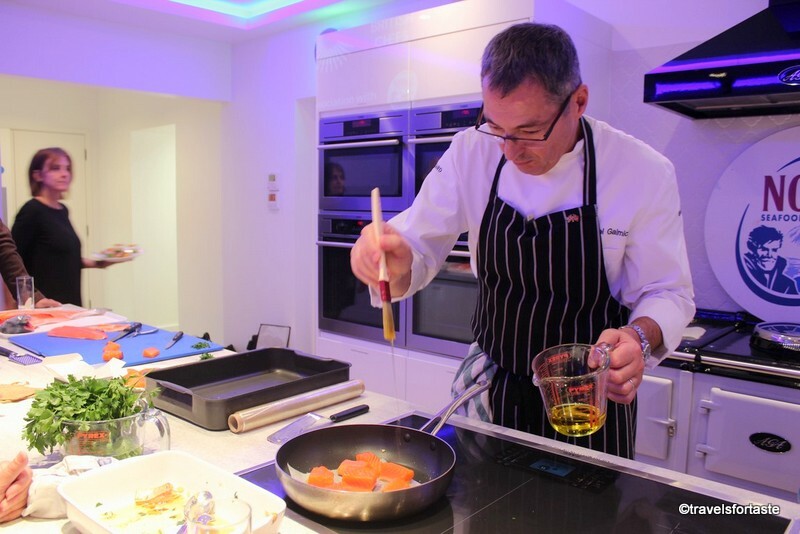 Watch this space for an interesting peek into the science of understanding our senses and taste with Professor Barry. If you are craving some ice cream then make yourself a very British dessert – Häagen-Dazs Frosty Eton Mess by lifestyle blogger Rosie. 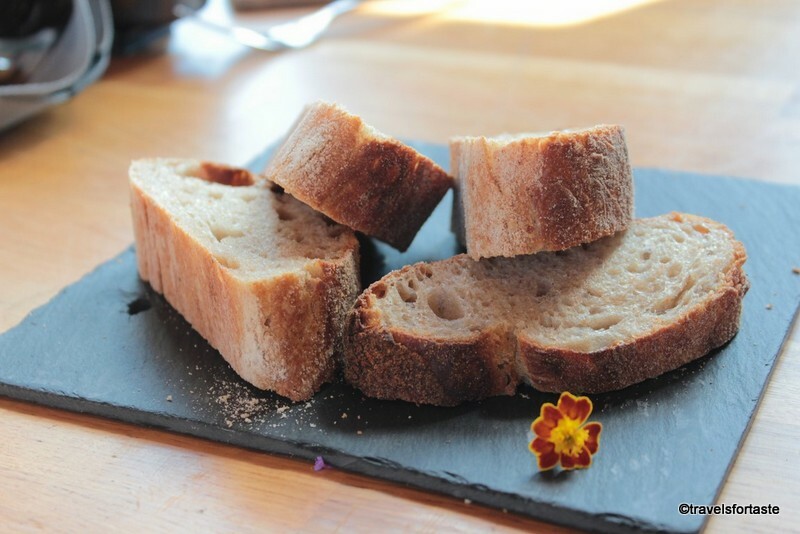 A delicious recipe with a modern take on the classic recipe. Here’s hoping you have enjoyed reading about the exciting journey my taste buds took with Häagen-Dasz and the ‘The Masters of Real’. 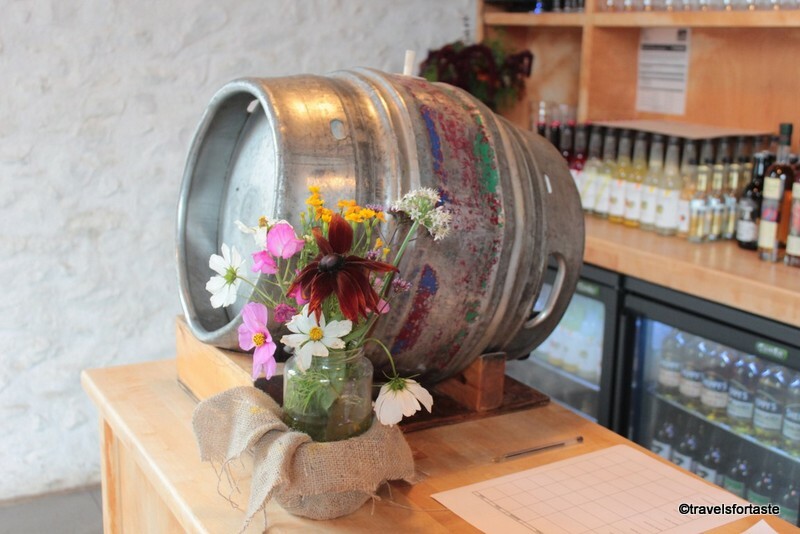 Go get yourself a ‘real’ treat this summer – you know you want to. 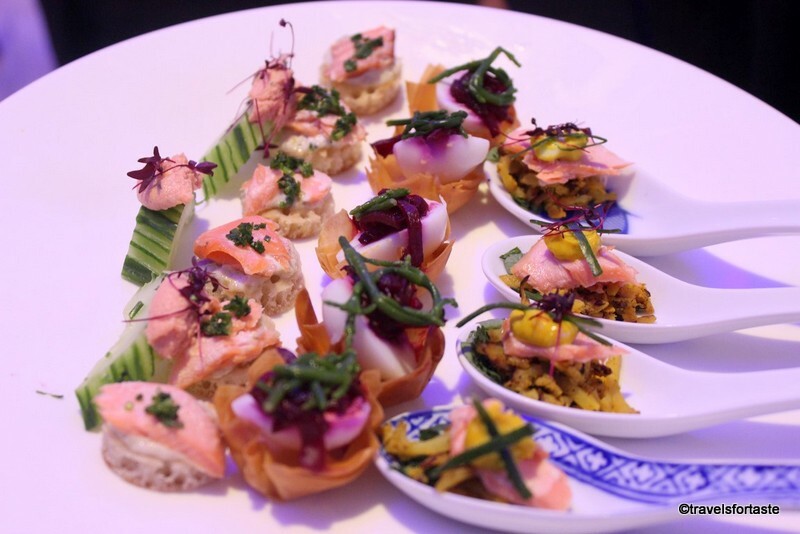 *With thanks to Häagen-Dazs and Great British Chefs for the invite. All images are the property of Häagen-Dazs unless they carry the ‘travelsfortaste’ trademark.